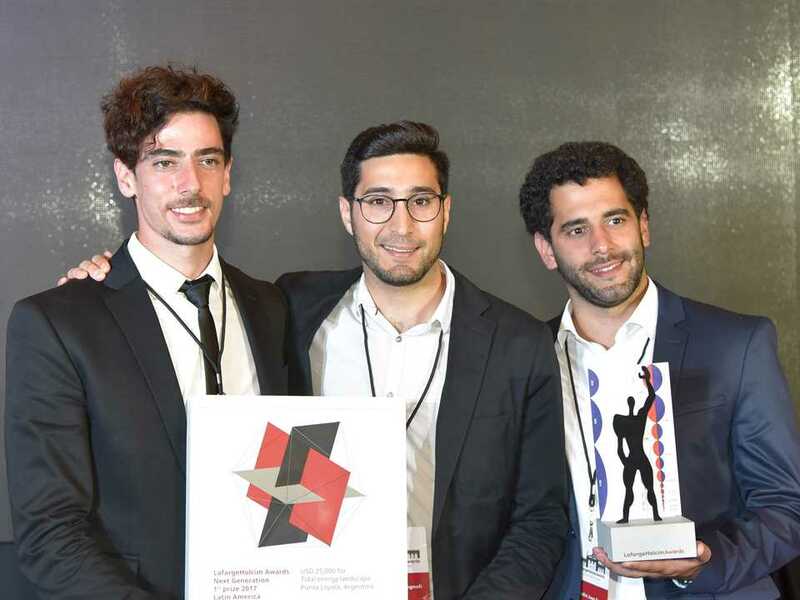 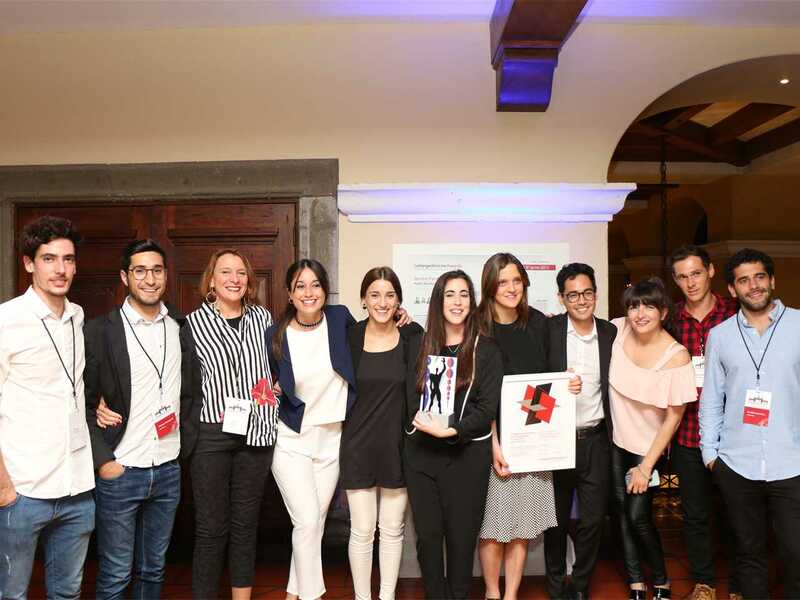 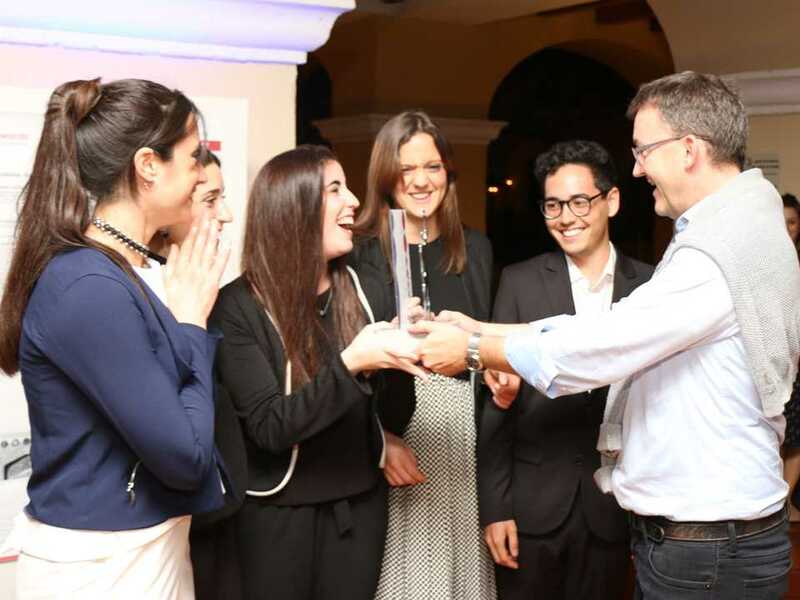 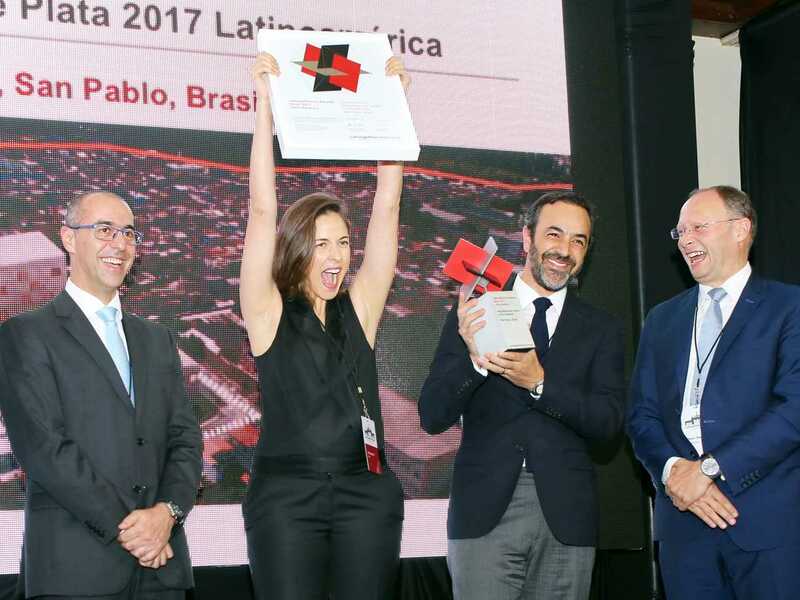 Prize-winning teams of the LafargeHolcim Awards Latin America 2017. 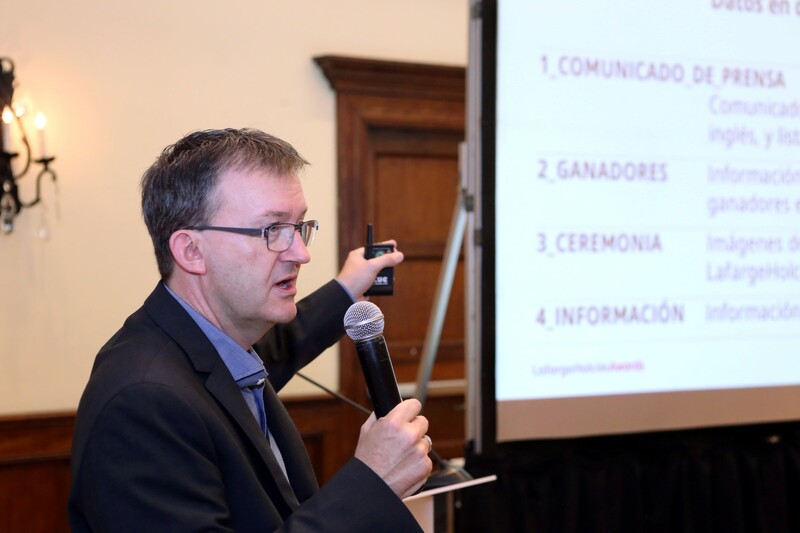 Whether for wastewater, drinking water, or tidal water, many of the prize winners have innovative and often surprising proposals for ways to master the use of this precious resource in Latin America. 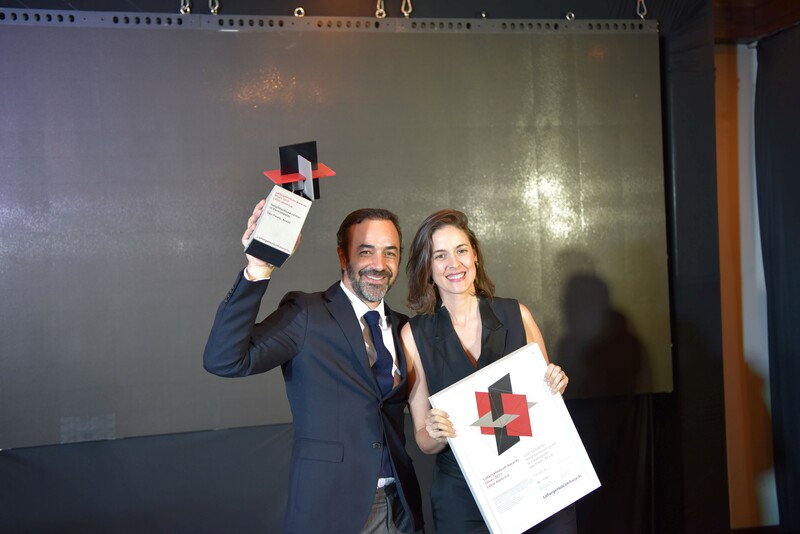 Winners of the LafargeHolcim Awards Gold 2017 (l-r): Loreta Castro Reguera and Manuel Perló Cohen, Universidad Nacional Autónoma de México, Mexico City for Publicly-accessible water retention and treatment complex in Mexico. 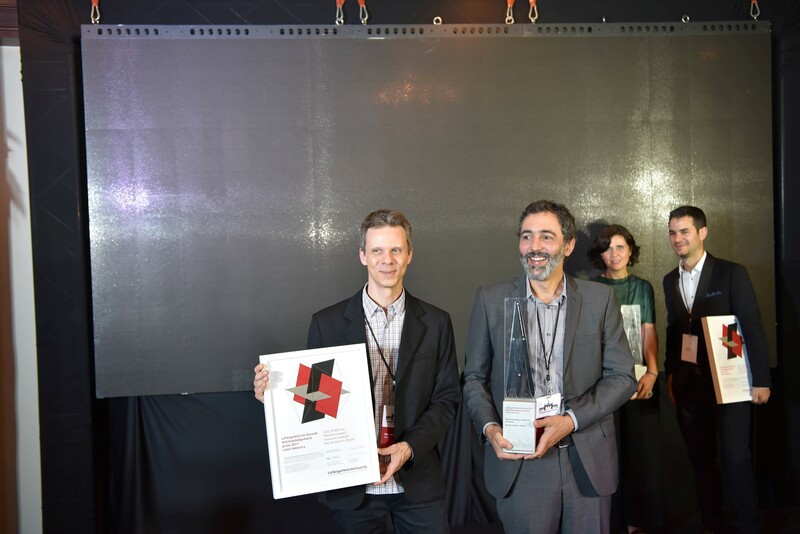 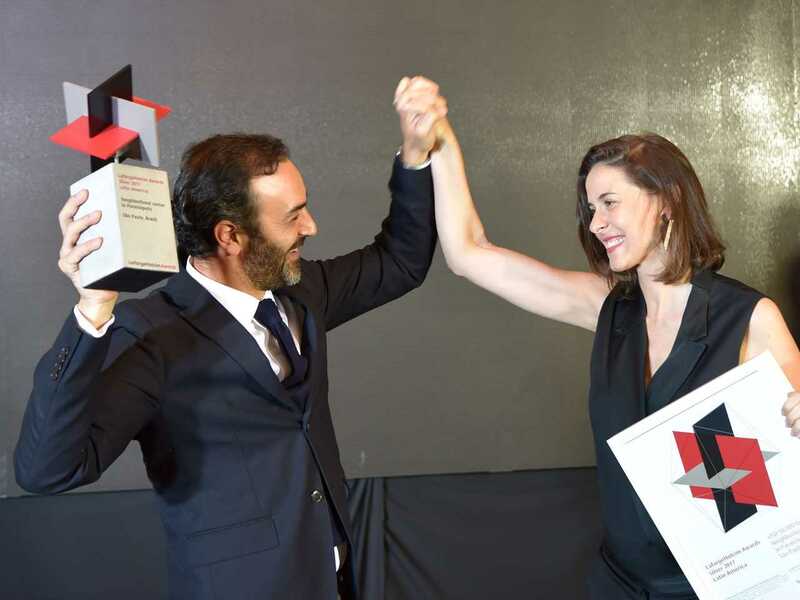 Winners of the LafargeHolcim Awards Silver 2017 (l-r): Jonathan Franklin, Exxpon and Sol Camacho Davalos, Raddar, both São Paulo, Brazil for Neighborhood center in Paraisópolis. 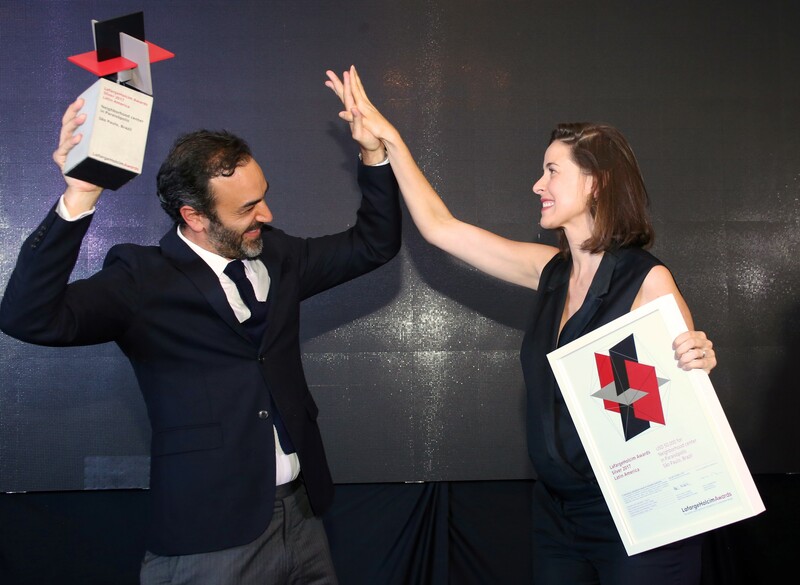 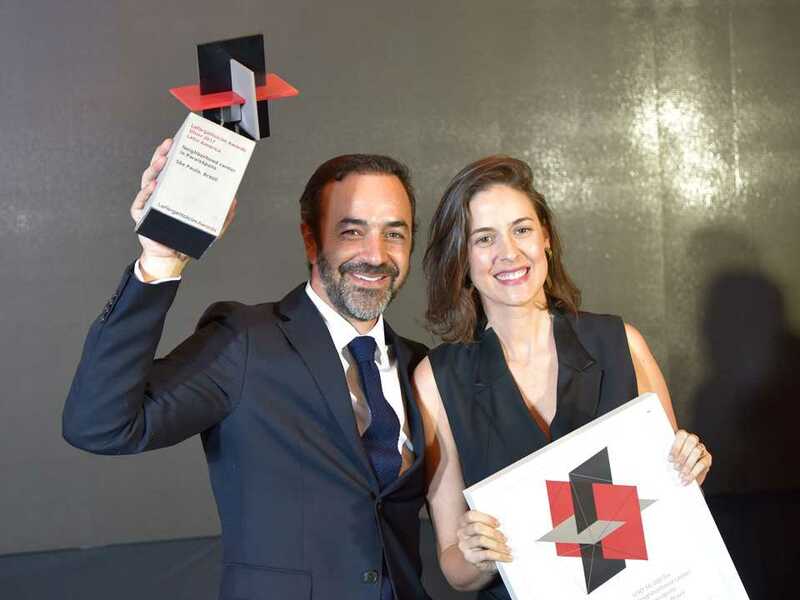 Celebrating their LafargeHolcim Awards Silver 2017 win (l-r): Jonathan Franklin, Exxpon and Sol Camacho Davalos, Raddar, both São Paulo, Brazil for Neighborhood center in Paraisópolis. 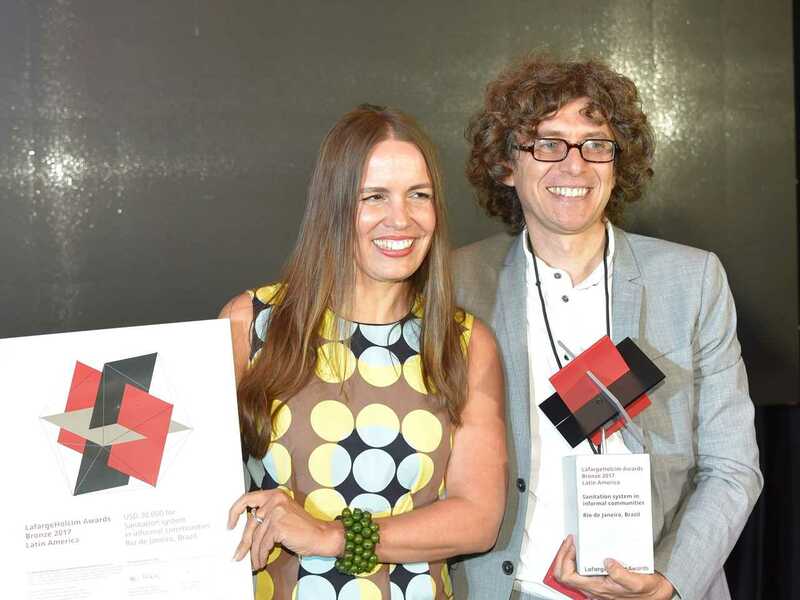 Winners of the LafargeHolcim Awards Bronze 2017 for their Sanitation system in informal communities of Rio de Janeiro, Brazil (l-r): Eva Pfannes y Sylvain Hartenberg from Ooze Architects, Rotterdam, Netherlands. 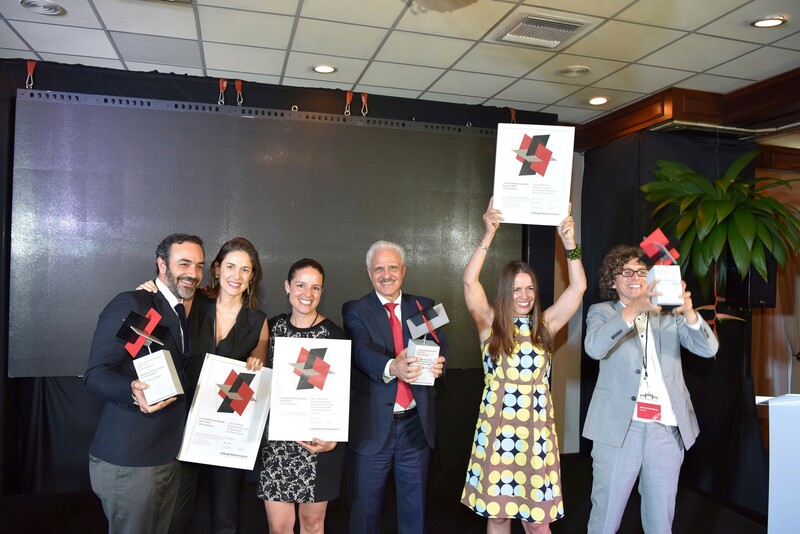 Winners of the LafargeHolcim Awards Main prizes (l-r): Jonathan Franklin, Exxpon and Sol Camacho Davalos, Raddar, Brazil (Silver); Loreta Castro Reguera and Manuel Perló Cohen, Universidad Nacional Autónoma de México (Gold); Eva Pfannes and Sylvain Hartenberg from Ooze Architects, Netherlands (Bronze). 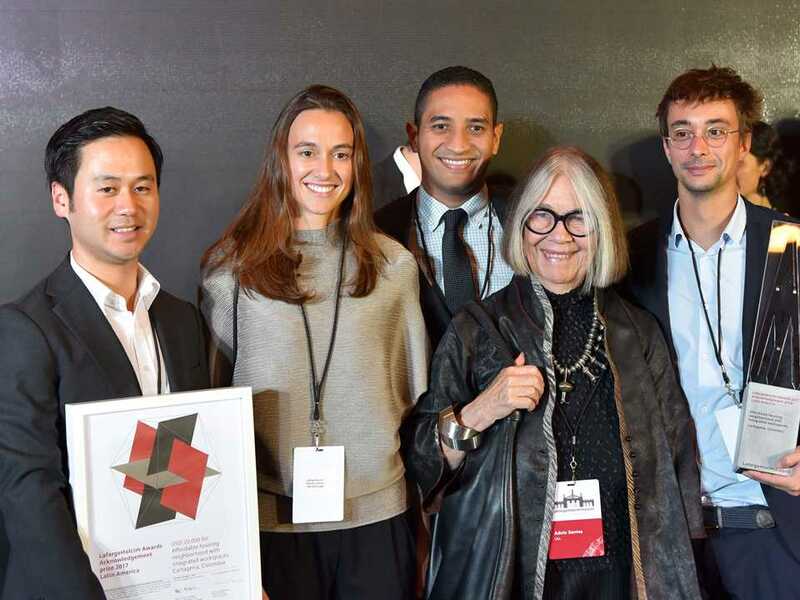 Winners of a LafargeHolcim Awards Acknowledgement 2017 for Affordable housing neighborhood with integrated workspaces, Cartagena, Colombia (l-r): Justin Heejoon Lim, Research Assistant, Massachusetts Institute of Technology (MIT); Debora Mesa Molina, MIT PopLab; Manjarres Silva, Ronald David Fundacion Mario Santo Domingo; Adèle Naudé Santos, Professor of Architecture & Urban Planning, MIT; and Giovanni Bernardino Bellotti, MIT. 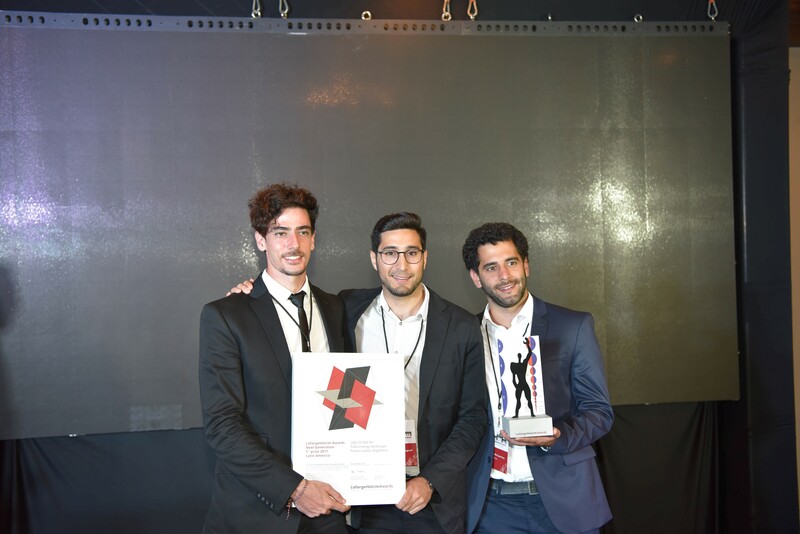 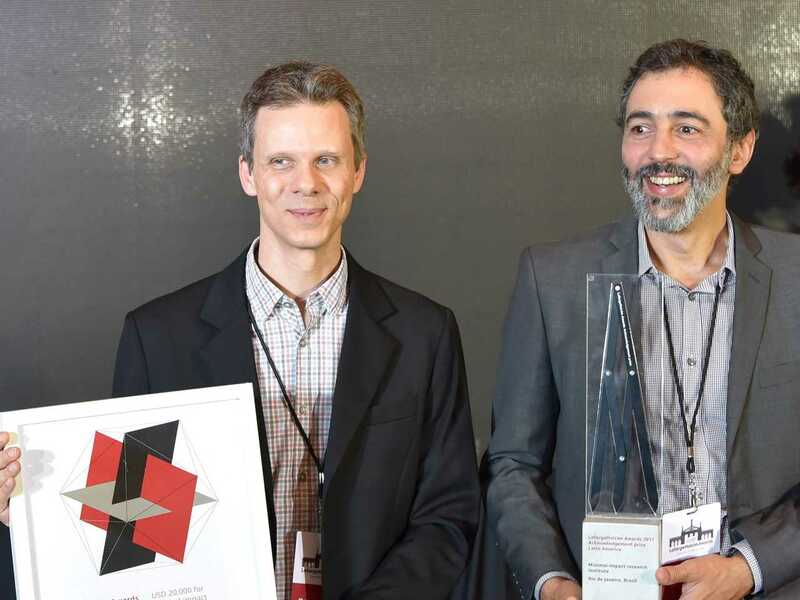 Winners of a LafargeHolcim Awards Acknowledgement 2017 for Minimal-impact research institute, Rio de Janeiro, Brazil (l-r): Marcelo Morettin and Vinicius Andrade, Andrade Morettin Arquitetos, São Paulo, Brazil. 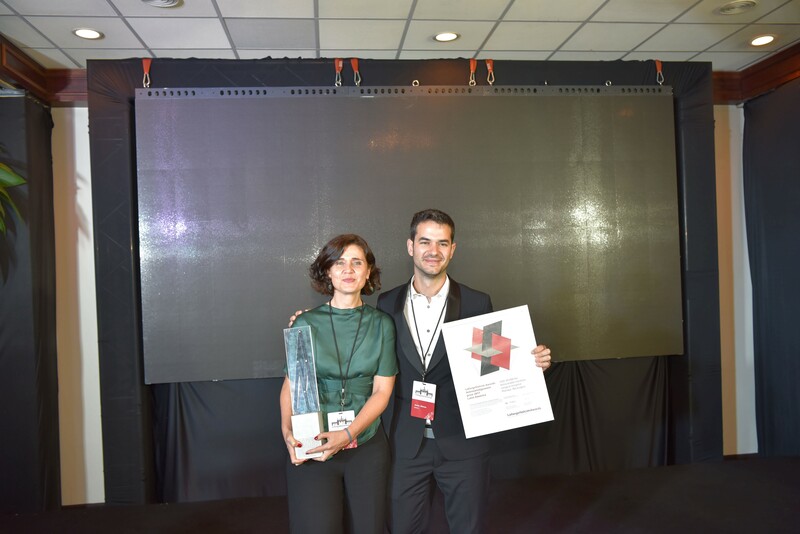 Winners of a LafargeHolcim Awards Acknowledgment 2017 for Relocatable modular surgical hospital, Masaya, Nicaragua (l-r): Paula Montoya, any scale architecture, Madrid, Spain and Javier Alonso, Javier Alonso arquitectos, Cádiz, Spain. Winner of a LafargeHolcim Awards Acknowledgement 2017 for City building strategy, Curridabat, Costa Rica (l-r): Erick Calderón Acuña, Tándem Arquitectura, San José, Costa Rica; Irene García Brenes and Edgar Mora Altamirano, Municipality Curridabat, Curridabat, Costa Rica. 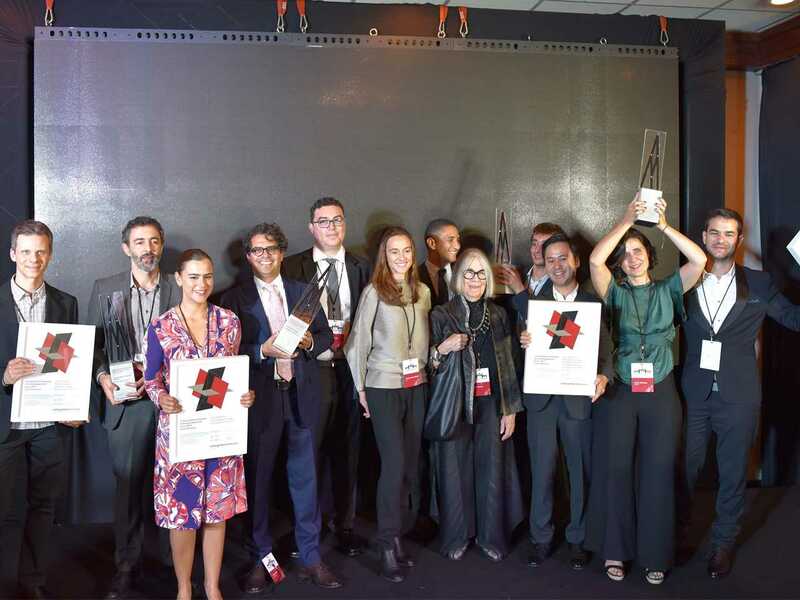 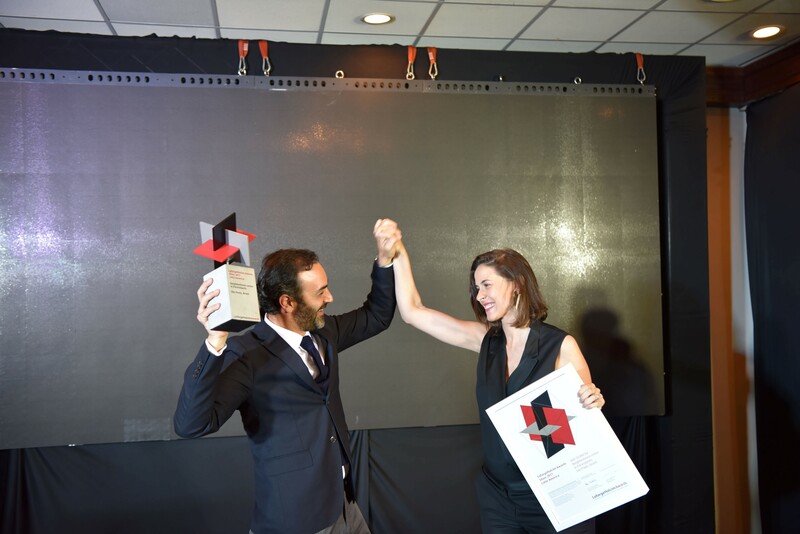 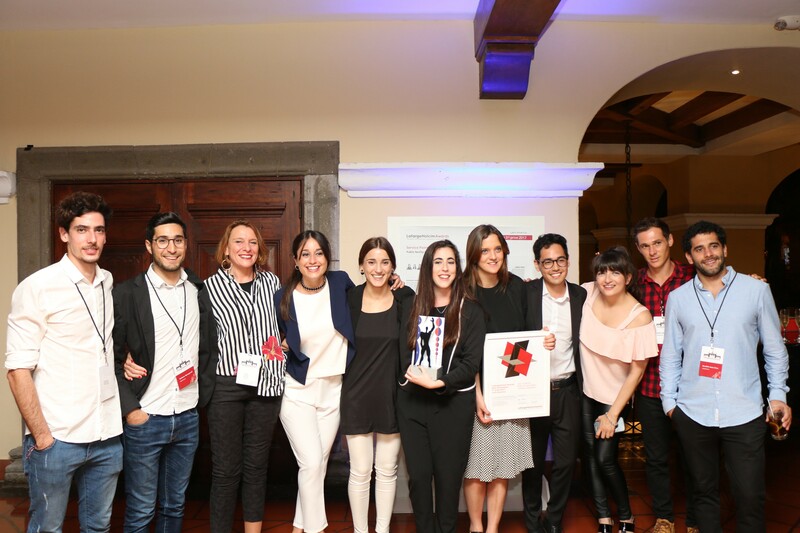 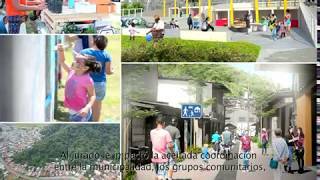 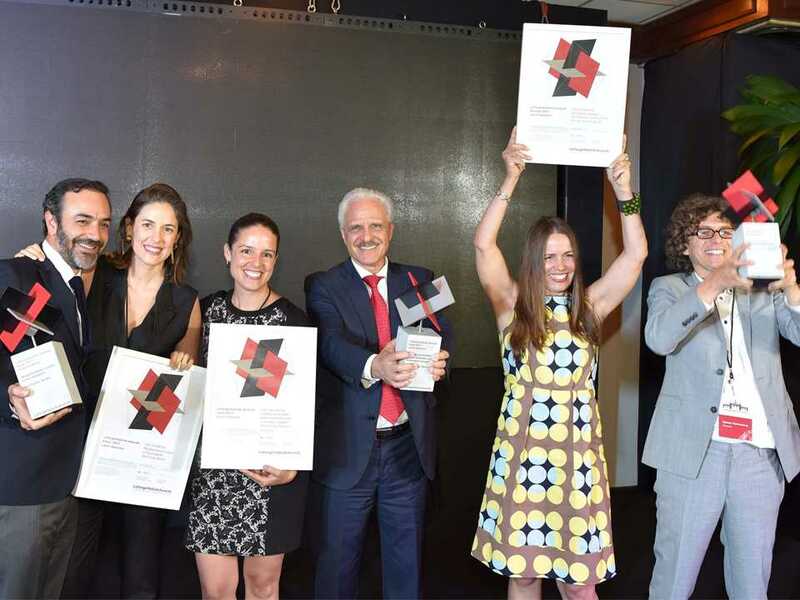 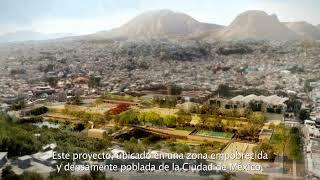 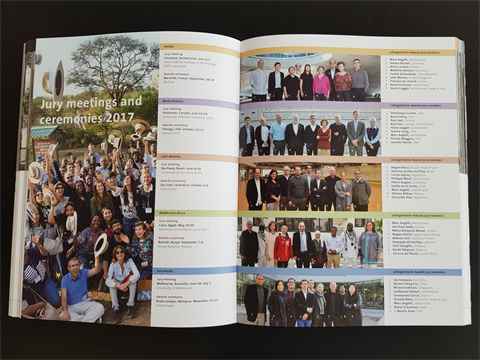 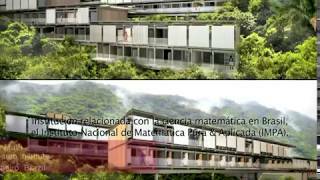 Winning teams of the four LafargeHolcim Awards Acknowledgement prizes in Latin America. 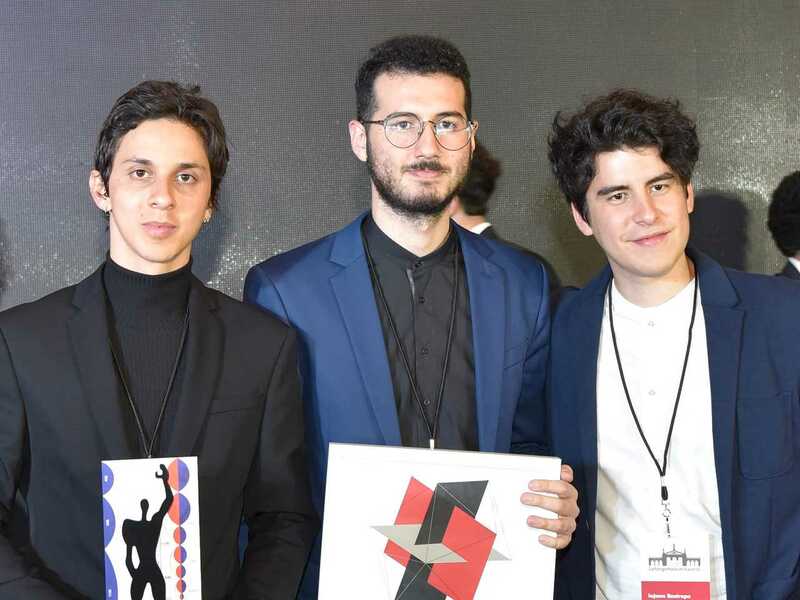 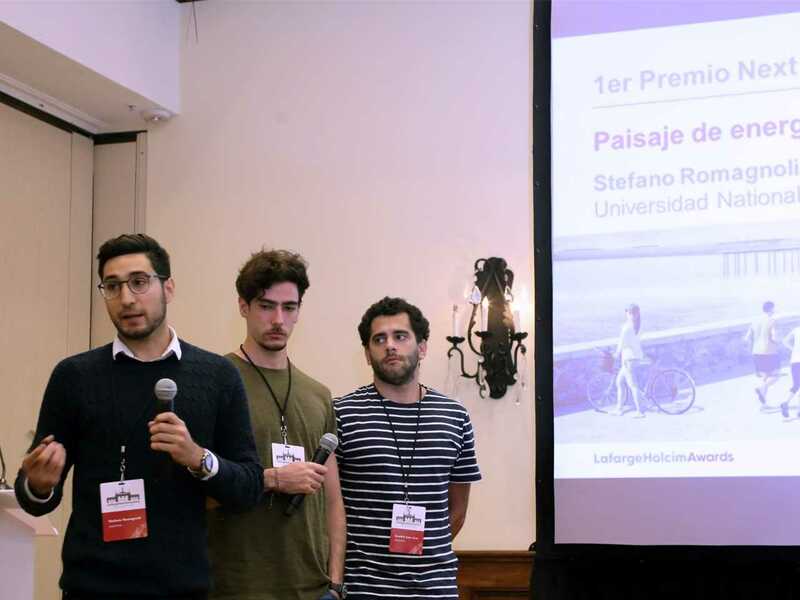 Winners of the Next Generation 1st prize for Territorial Figure in Argentina, Punta Loyola, Argentina (l-r): Tomás Pont Apóstolo, Stefano Romagnoli and Juan Cruz Serafini, all Universidad Nacional de Córdoba, Córdoba, Argentina. 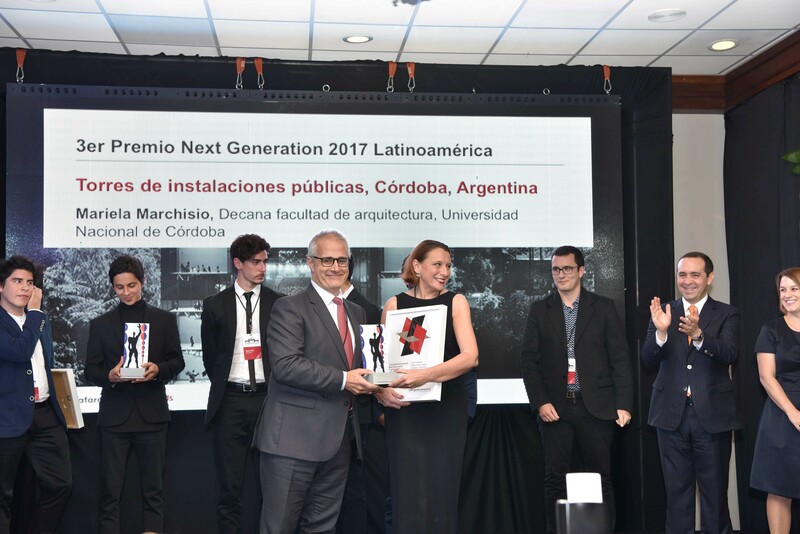 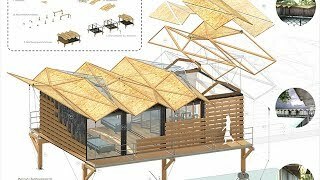 Winner of the Next Generation 2nd prize for Public baths and sewage treatment plant, Cerro de Pasco, Peru - Boris Lefevre of Marseille, France. Winners of the Next Generation 3rd prize for Public facility towers (l-r): María Augustina Nieto, Lucía Uribe Echevarria, María Belén Pizarro, Ángela Ferrero and Seizen Uehara all from Universidad Nacional de Córdoba, Argentina. 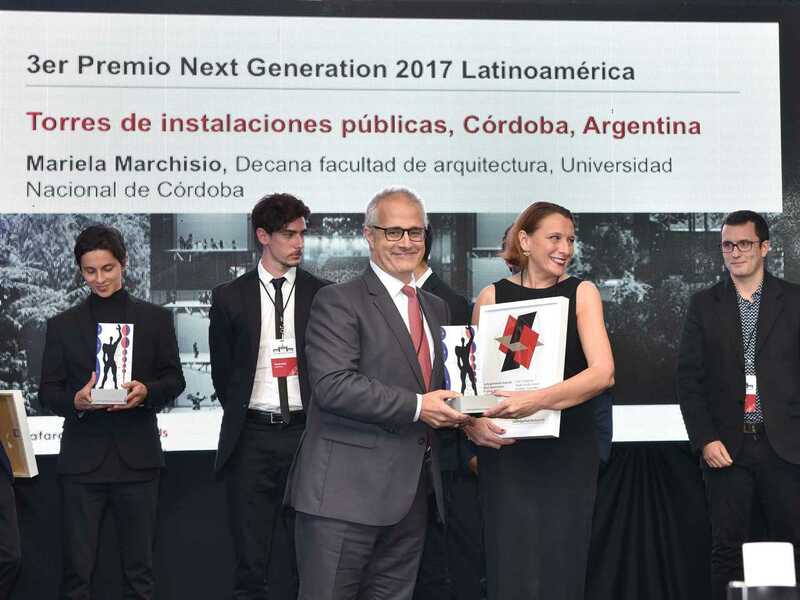 Carlos Espina (center, left), CEO of LafargeHolcim in Argentina presents the LafargeHolcim Next Generation 3rd prize to Mariela Marchisio, Dean of Architecture, Universidad Nacional de Córdoba who receives the prize on behalf of the winning team: Ángela Ferrero, María Augustina Nieto, María Belén Pizarro, Seizen Uehara and Lucía Uribe Echevarria for Public facility towers, Córdoba, Argentina. 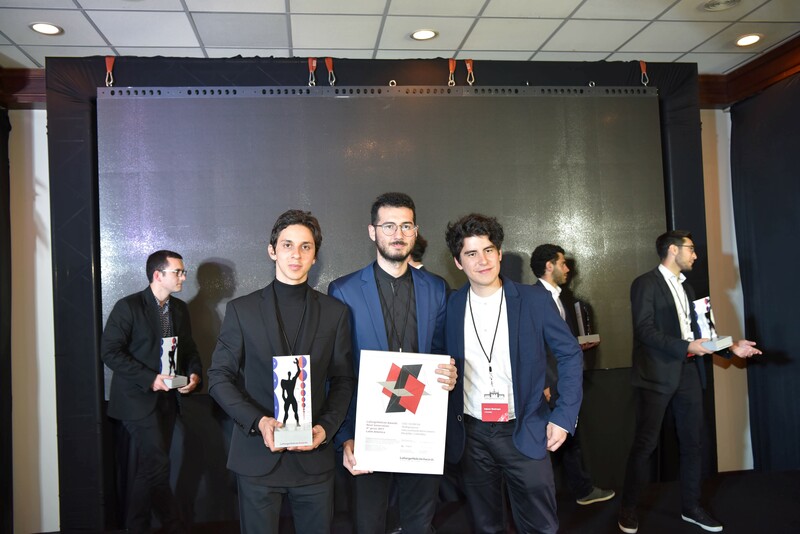 Winner of the Next Generation 4th prize 2017 for Multipurpose telecommunication towers, Medellín, Colombia (l-r): Daniel Felipe Zuluaga Londoño, Alejandro Vargas Marulanda and Iojann Restrepo García all from Universidad Nacional de Colombia – Sede Medellín, Colombia. 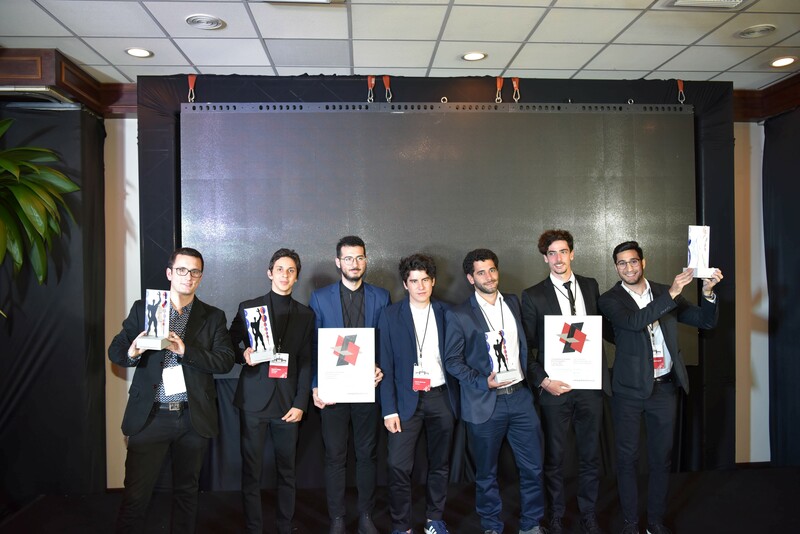 Winners of the Next Generation prizes (l-r): Boris Lefevre of Marseille, France for project in Peru (2nd); Daniel Felipe Zuluaga Londoño, Alejandro Vargas Marulanda and Iojann Restrepo García all from Universidad Nacional de Colombia (4th); and Juan Cruz Serafini, Tomás Pont Apóstolo and Stefano Romagnoli, Universidad Nacional de Córdoba, Argentina (1st). 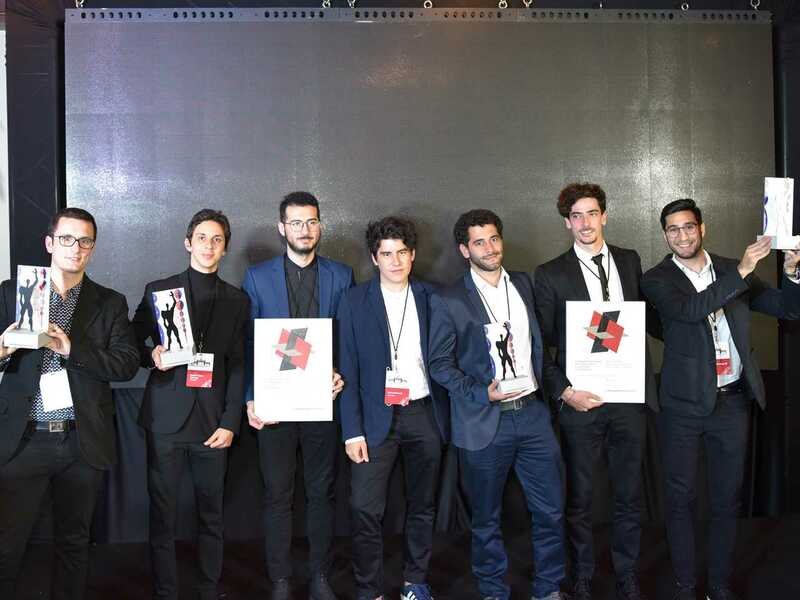 Not pictured - 3rd prize team from Argentina. 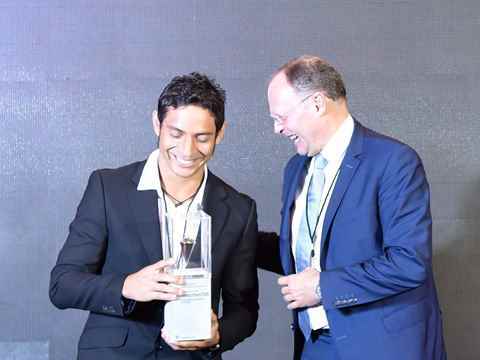 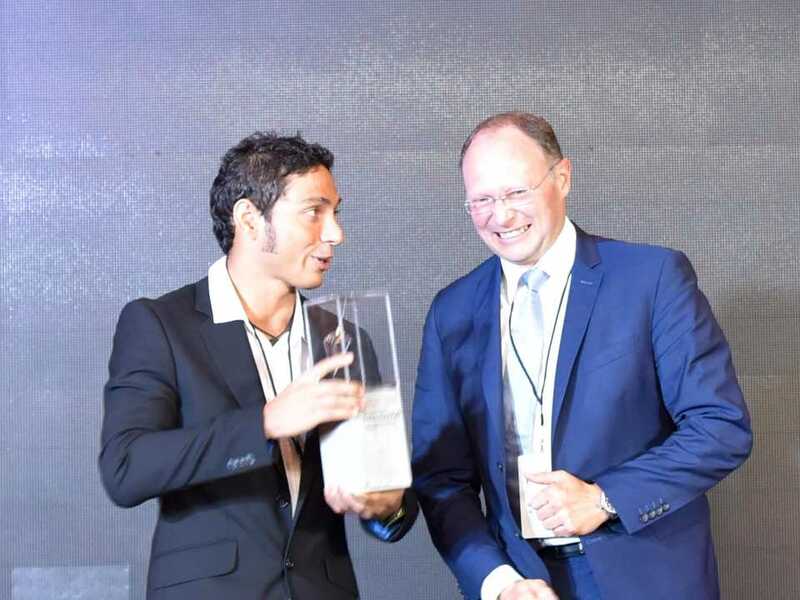 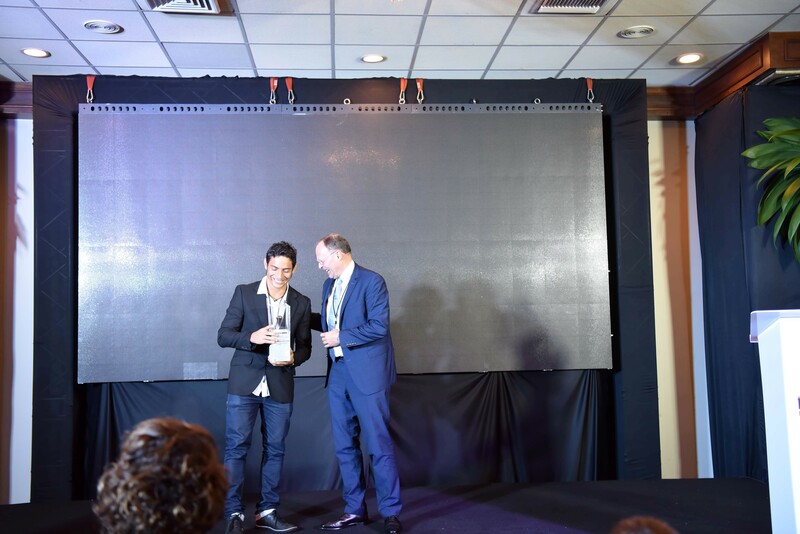 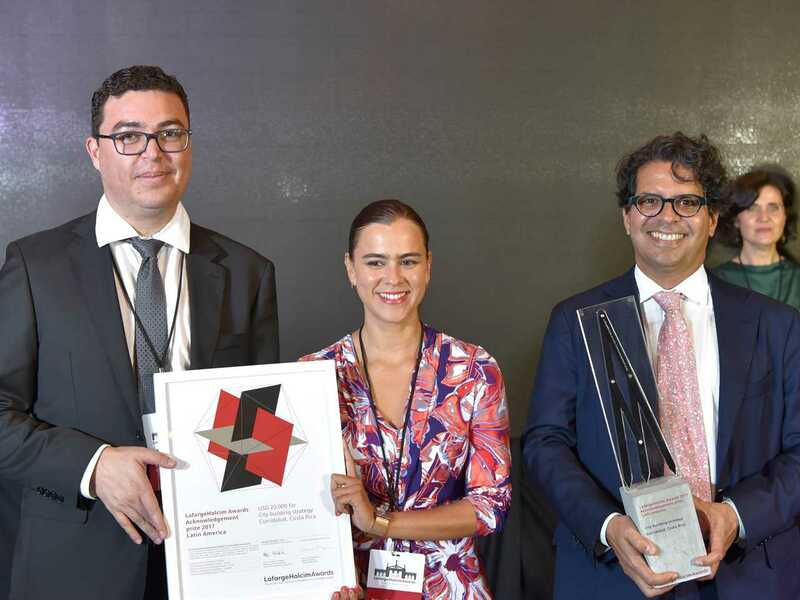 Mario Camargo (left) receives the LafargeHolcim Building Better Recognition on behalf of the team of colectivo 720 in Calí, Colombia from Oliver Osswald, Member of the Executive Committee of LafargeHolcim responsible for Latin America. 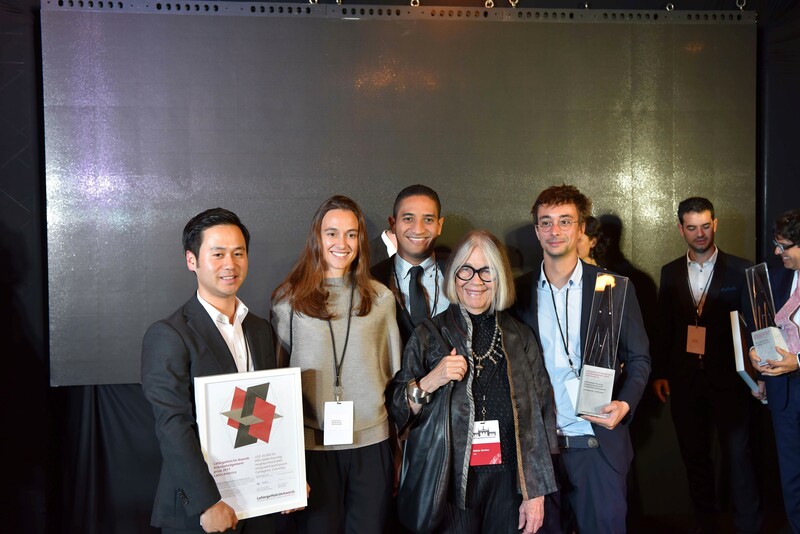 The recognition was awarded for a winning project from a previous competition cycle, one which has been built and has stood the test of time as a particularly successful example of sustainable building. 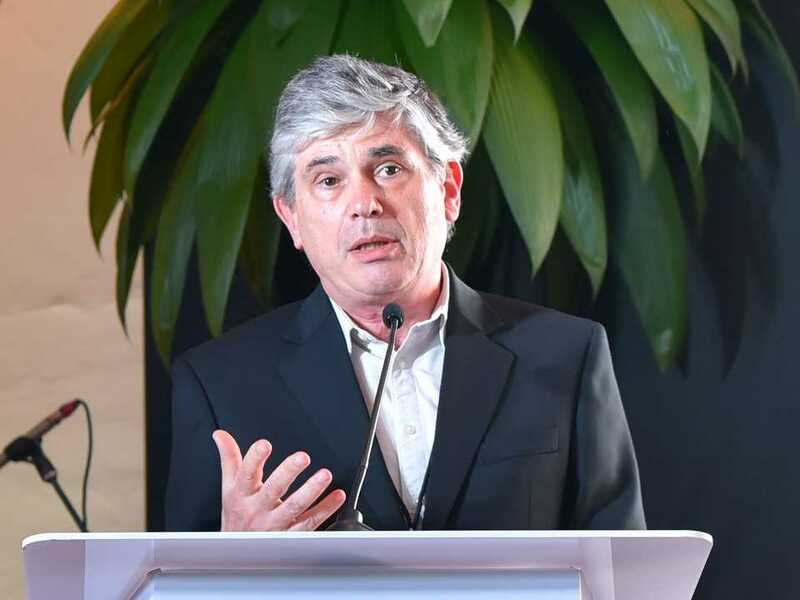 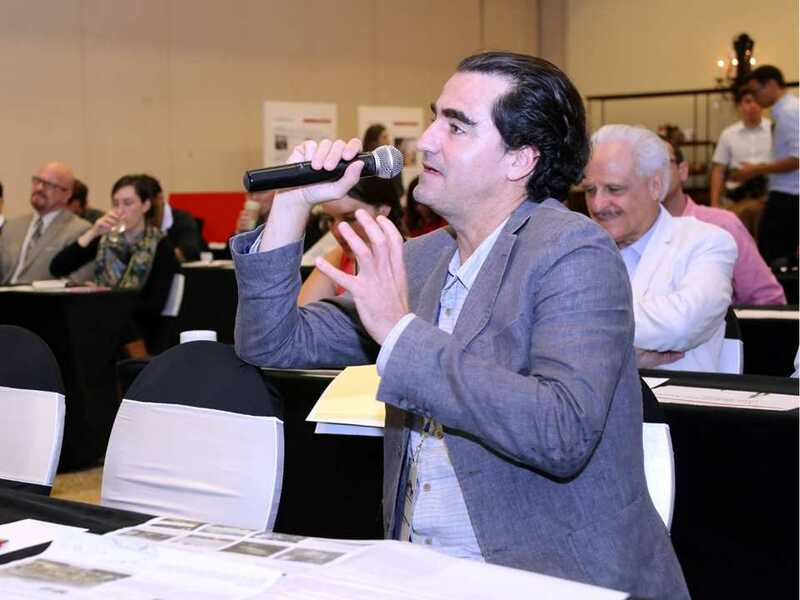 Angelo Bucci: Co-founder and Principal, spbr arquitetos; and Lecturer, Faculty of Architecture & Urbanism, Universidade de São Paulo, Brazil and Head of the LafargeHolcim Awards jury for Latin America 2017 introduces the “target issues” for sustainable construction and the adjudication process. 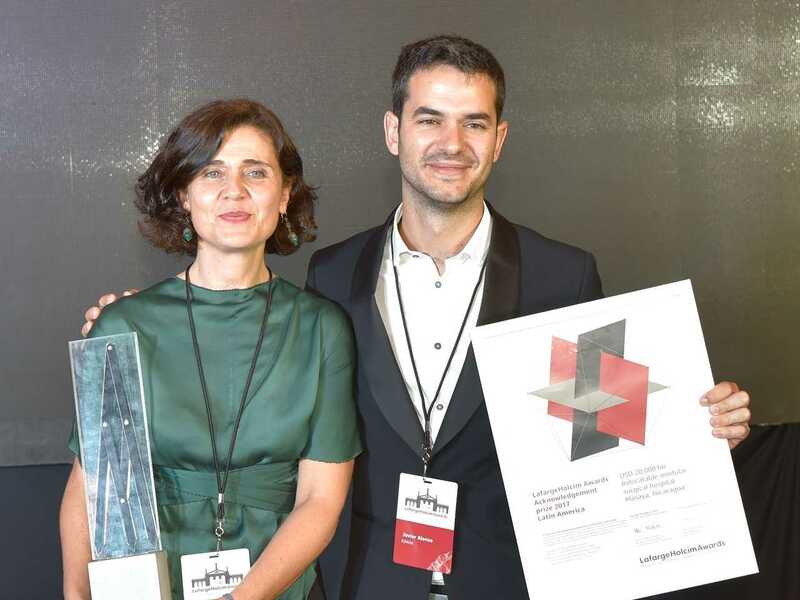 Vanessa Gomes da Silva, Associate Professor of Architecture & Urbanism, University of Campinas (UNICAMP), Brazil and member of the LafargeHolcim Awards jury Latin America 2017. 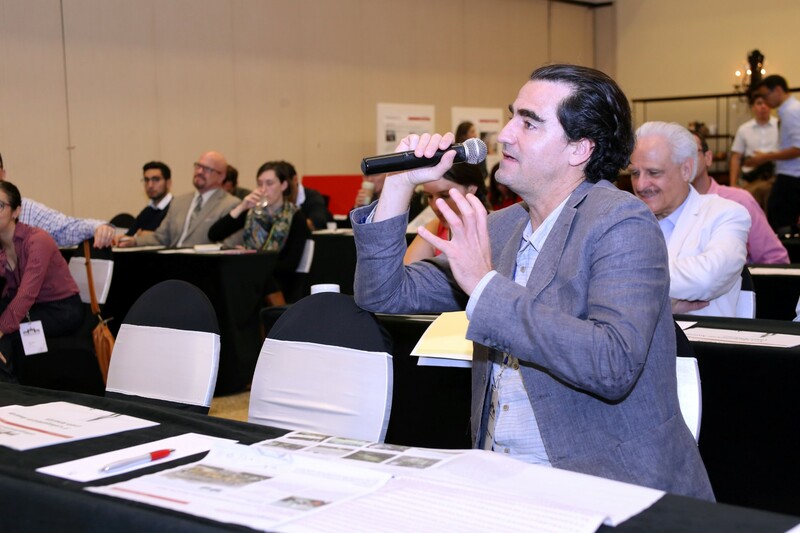 Fernando Diez, Editorial Director, Summa+; and Professor of Urbanism, Universidad de Palermo (UP), Argentina and member of the LafargeHolcim Awards jury Latin America 2017. Pietro Stagno, Founding Member, Instituto de Arquitectura Tropical, Costa Rica and member of the LafargeHolcim Awards jury Latin America 2017. 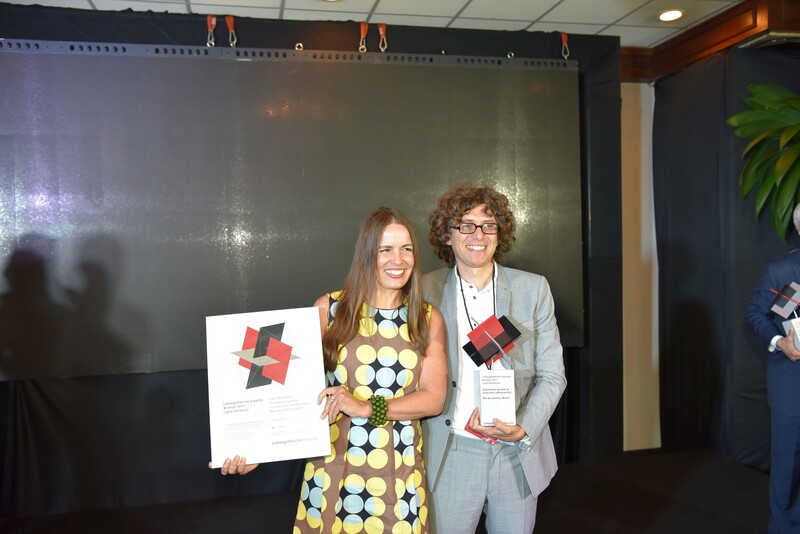 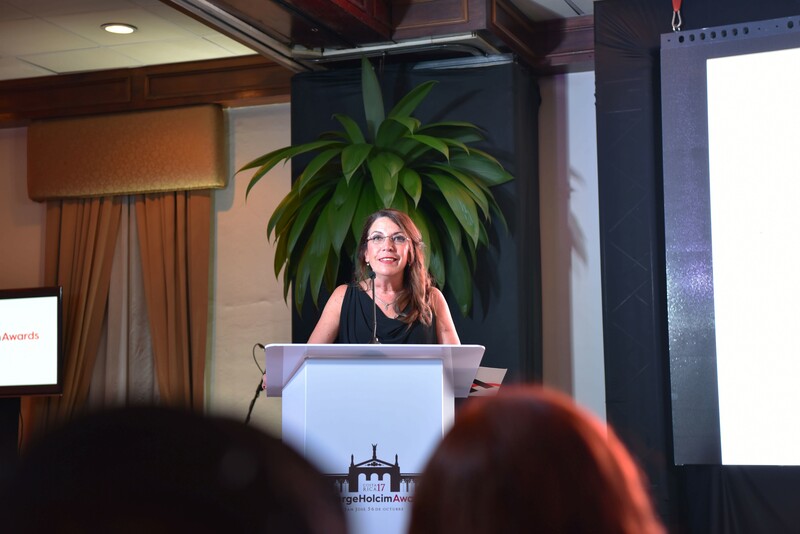 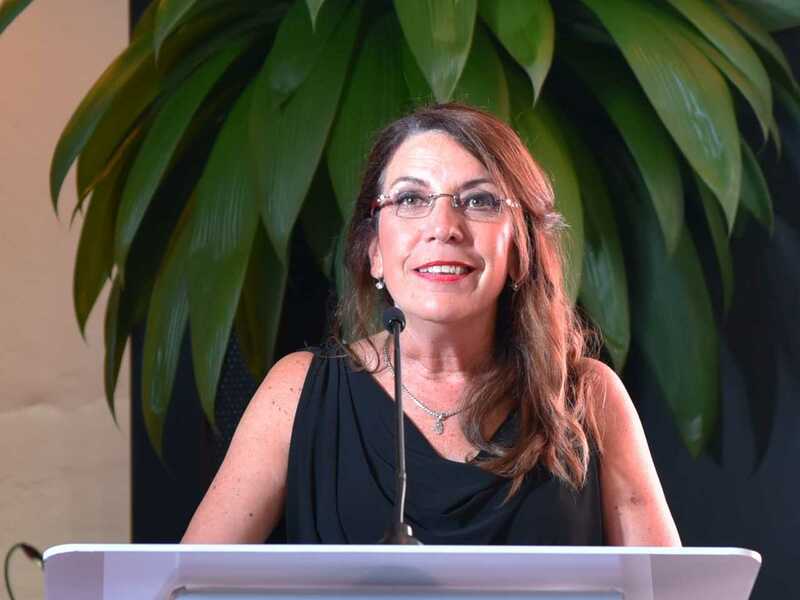 Welcoming prize-winners and guests: Veronica Zigante, Head of LafargeHolcim in Costa Rica, as host Country for the LafargeHolcim Awards for Sustainable Construction for Latin America in 2017. 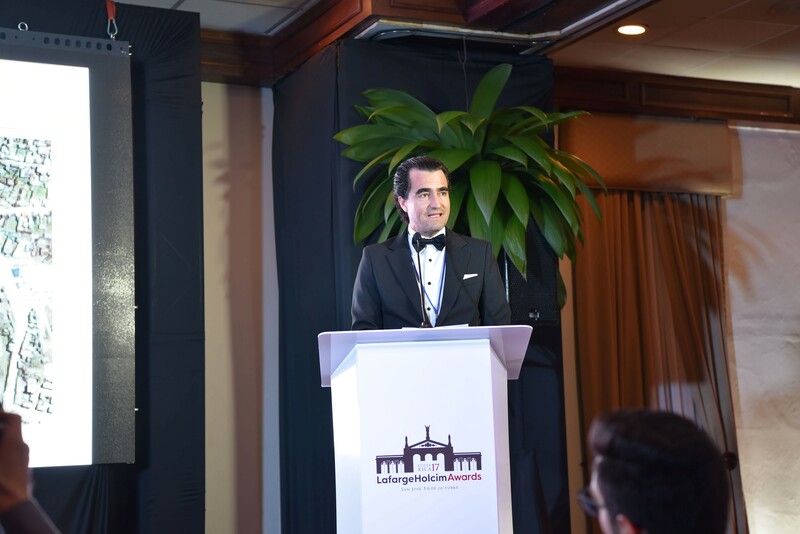 Edward Schwarz, General Manager, LafargeHolcim Foundation introduced the LafargeHolcim Building Better Recognition on behalf of Enrique Norten, Principal & Founder, TEN Arquitectos, Mexico/USA and member of the Board of the LafargeHolcim Foundation, who was unable to attend the ceremony due to severe weather affecting travel to San José. 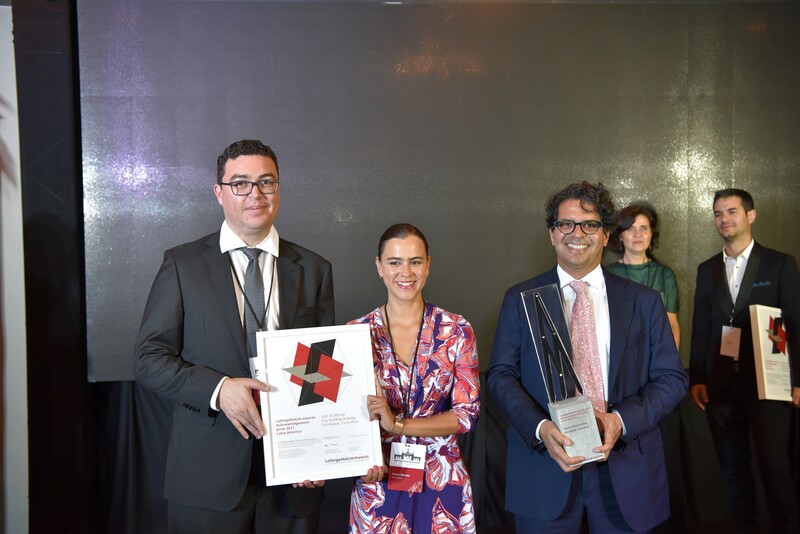 Sergio Mauricio (left), Commercial Director of LafargeHolcim in Brazil; and Oliver Osswald, Member of the Executive Committee of LafargeHolcim responsible for Latin America (right) congratulate LafargeHolcim Awards Silver 2017 winners (center) Sol Camacho Davalos, Raddar and Jonathan Franklin, Exxpon, both São Paulo, Brazil for Neighborhood center in Paraisópolis. 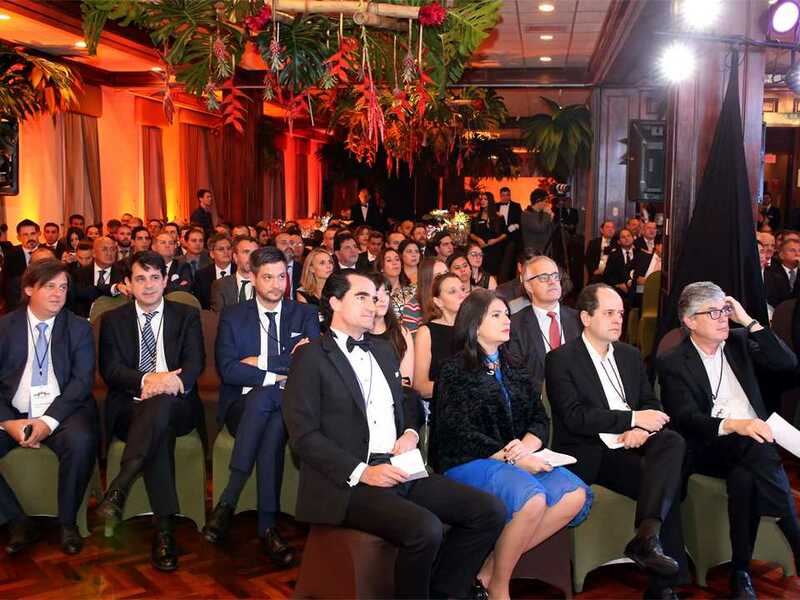 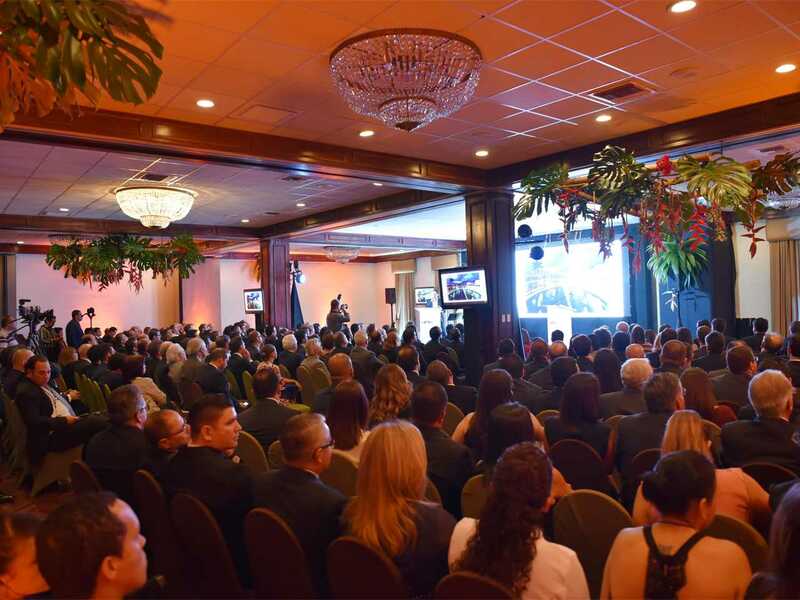 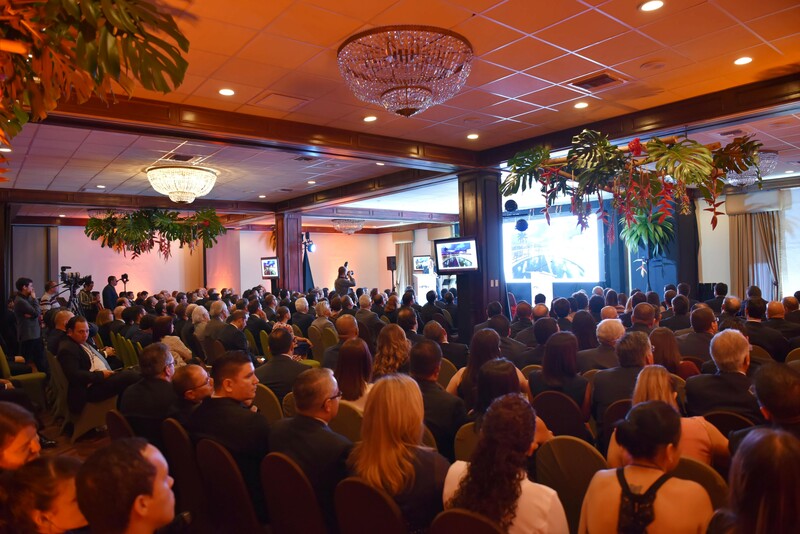 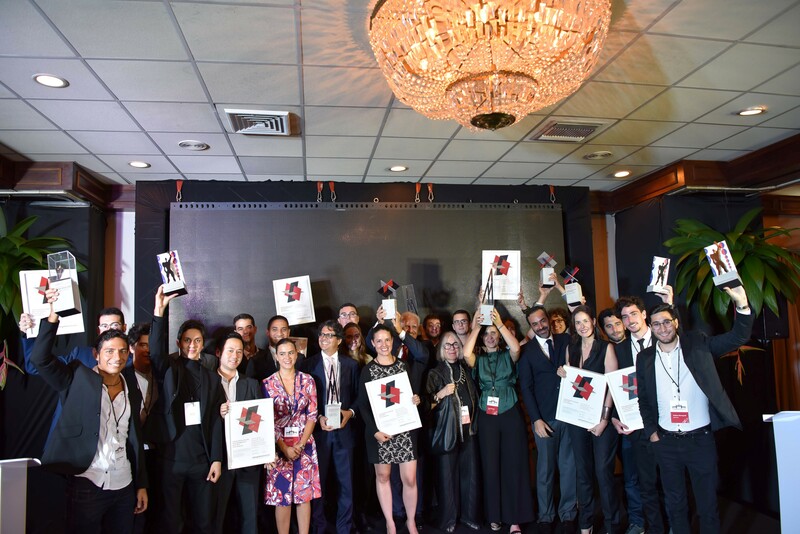 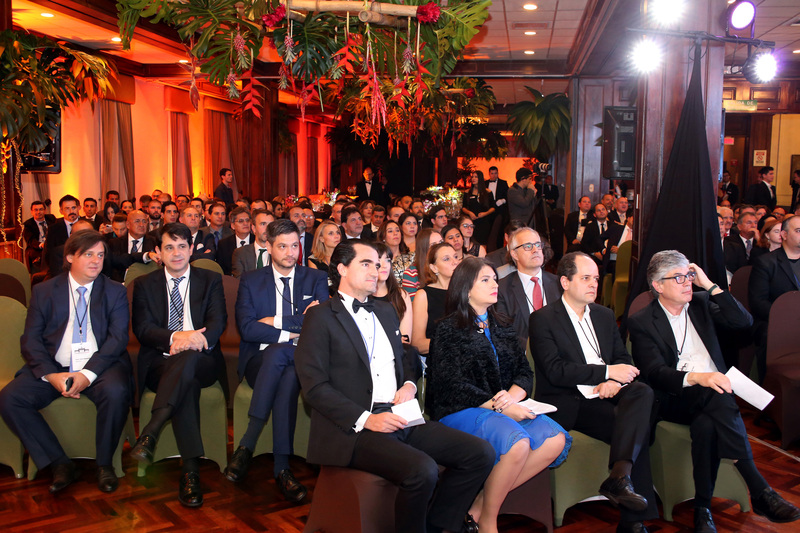 Guests from across Latin America and beyond gathered for the announcement of the LafargeHolcim Awards winners - representing the leading edge of sustainable construction in the region. 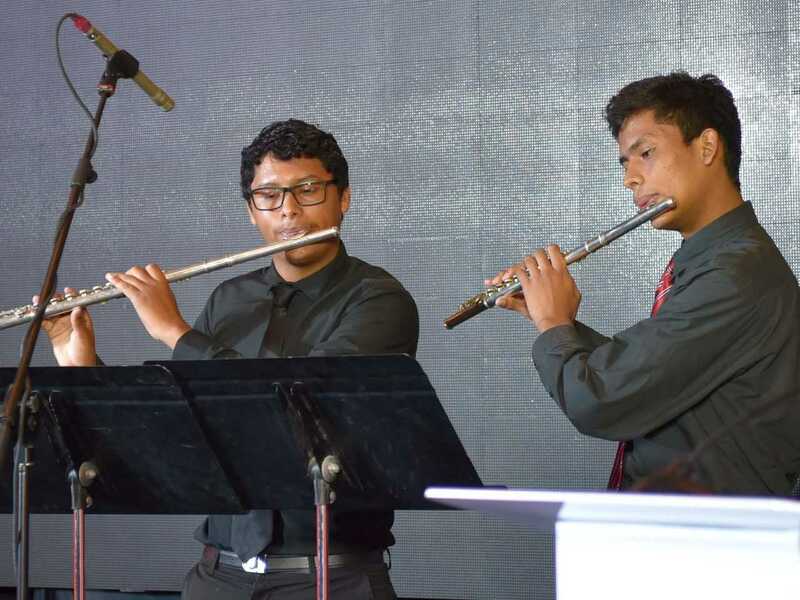 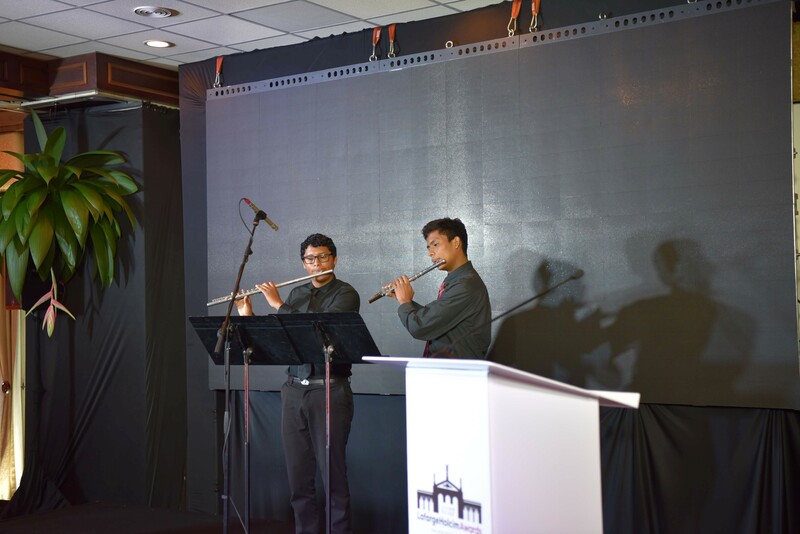 Entertaining guests at the event: Niños de La Carpio – SIFAIS, San José, Costa Rica. 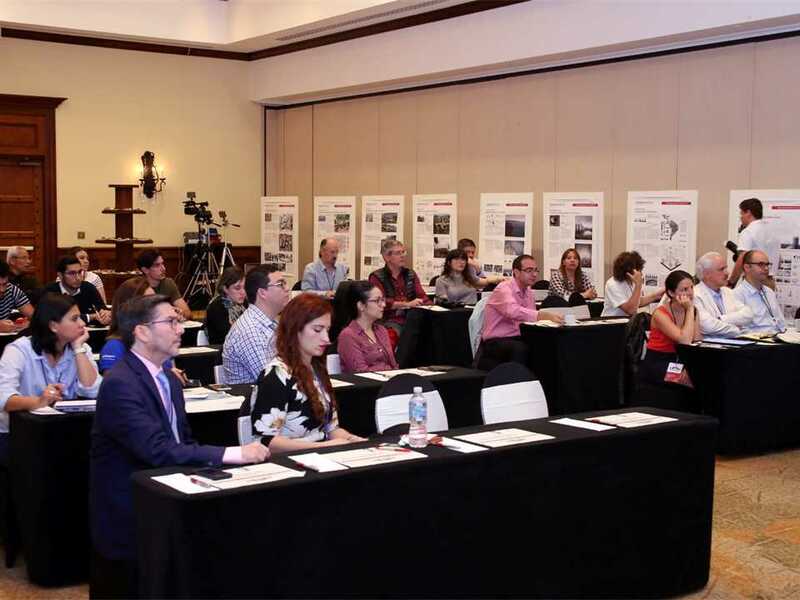 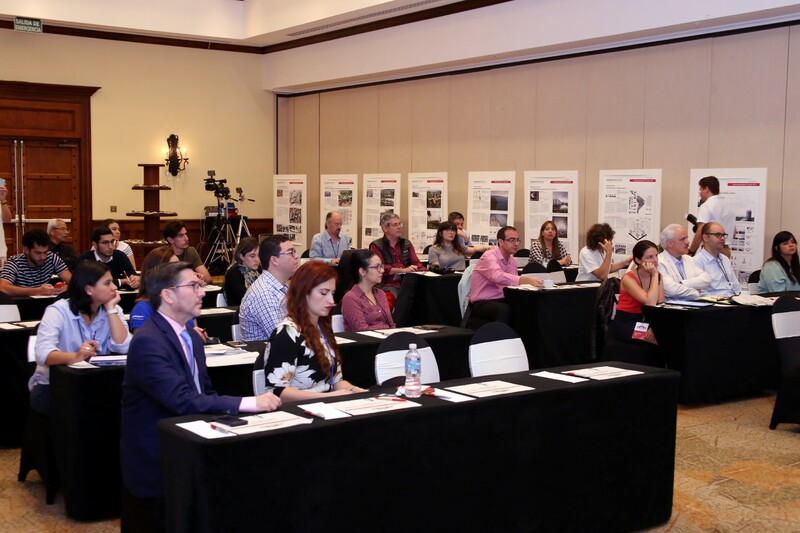 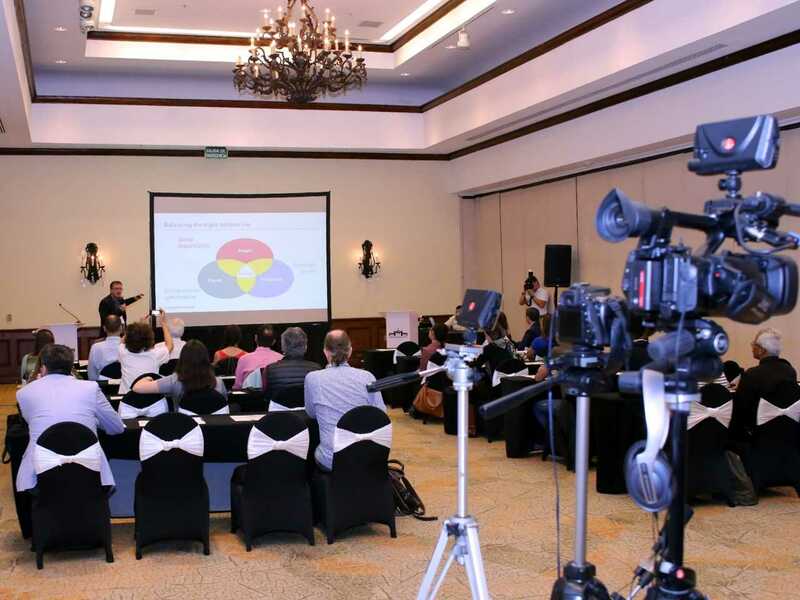 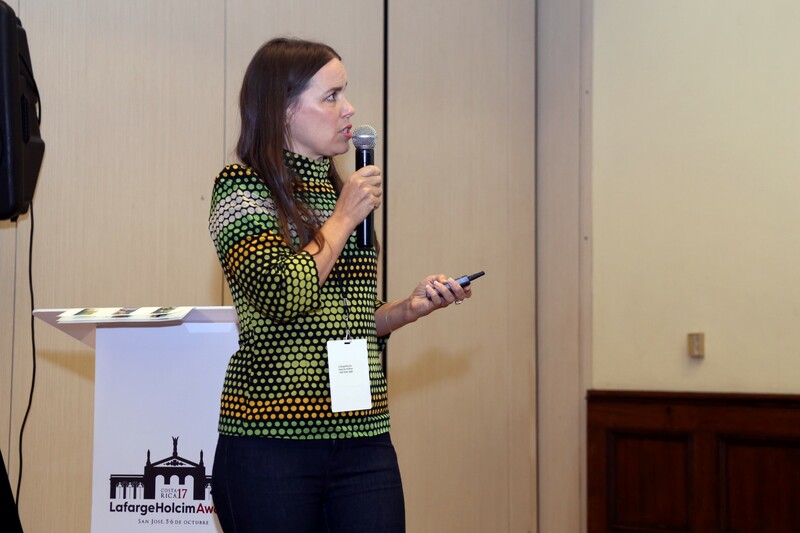 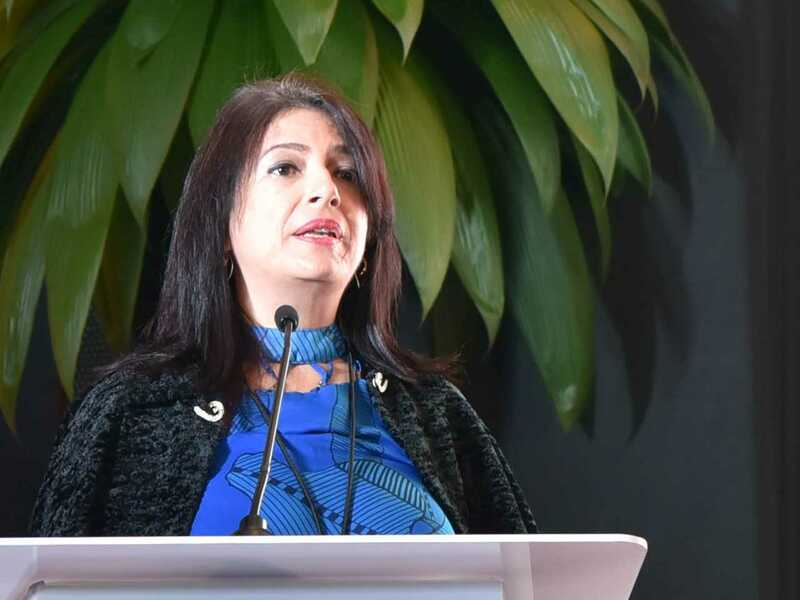 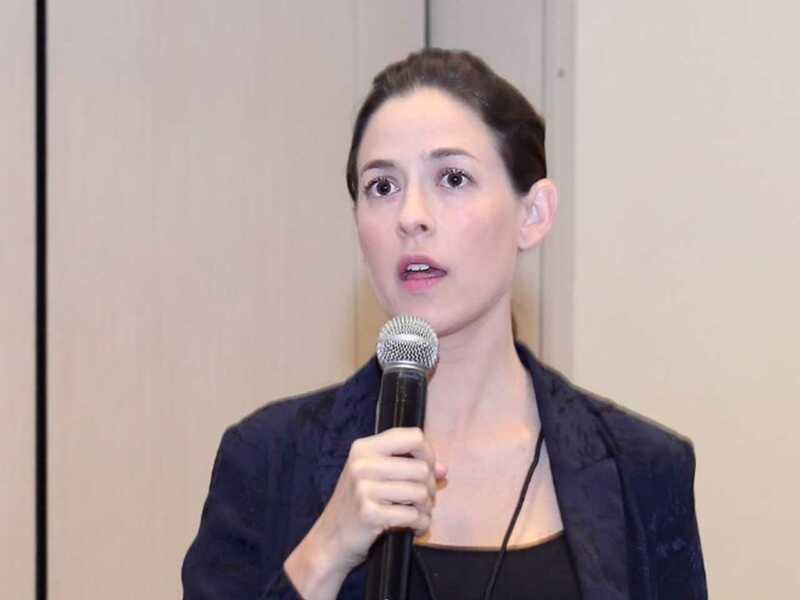 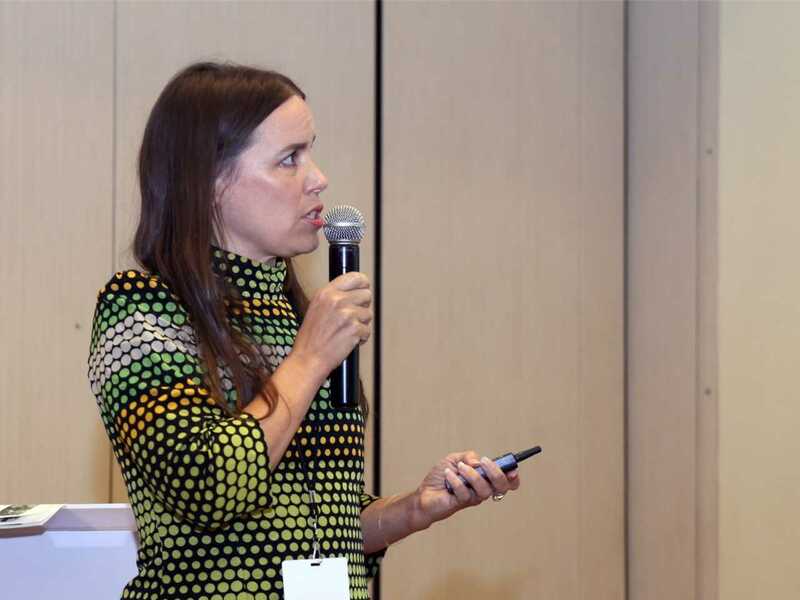 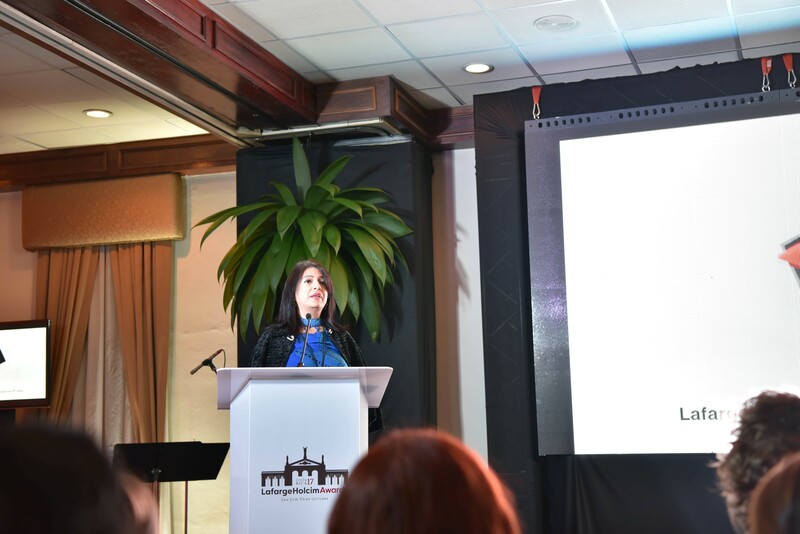 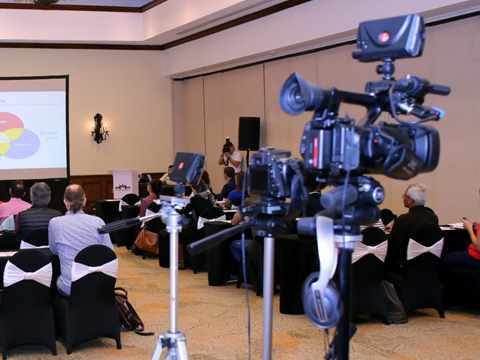 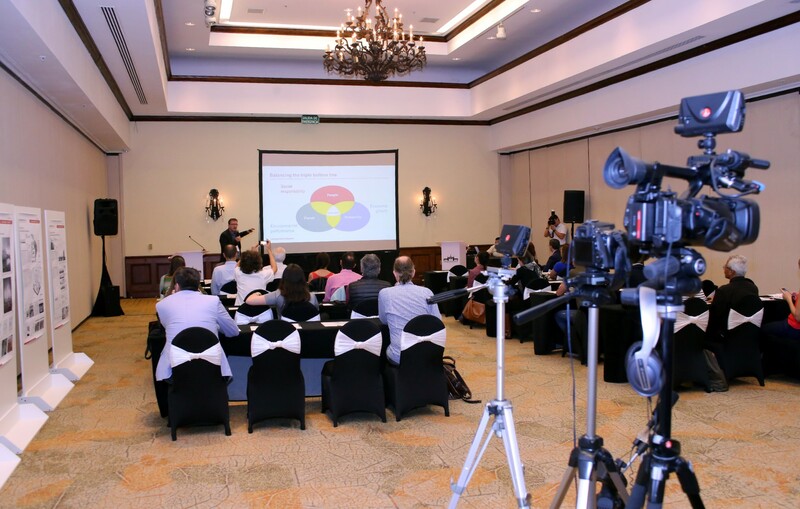 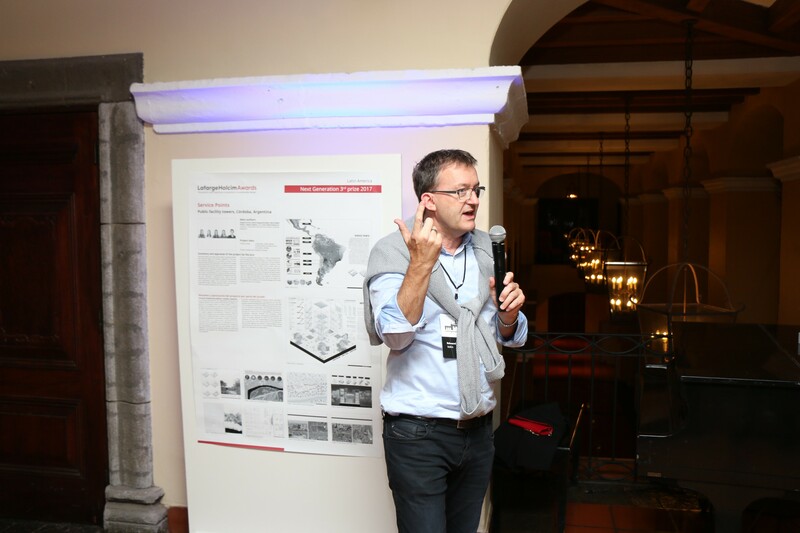 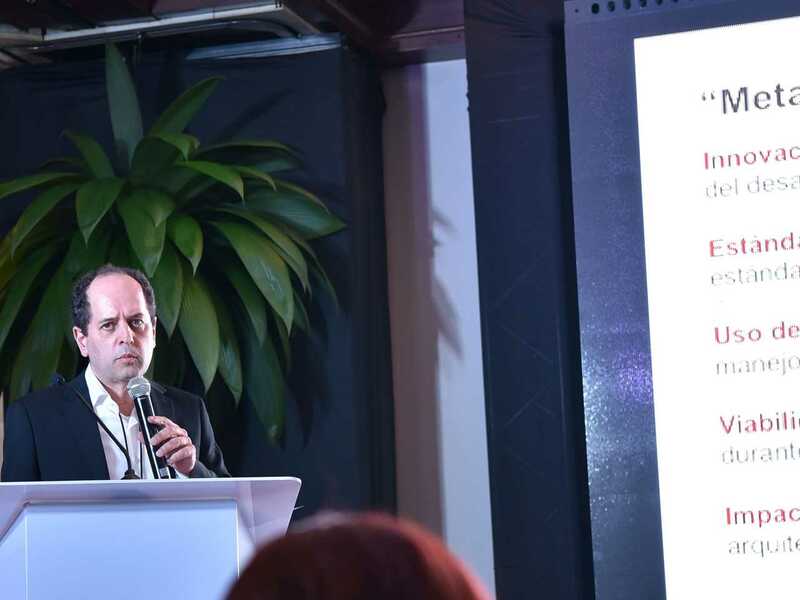 An array of five projects showcasing the leading edge of sustainable construction in Latin America were the focus of the media briefing to conclude the LafargeHolcim Awards prize hand-over ceremony held in San José. 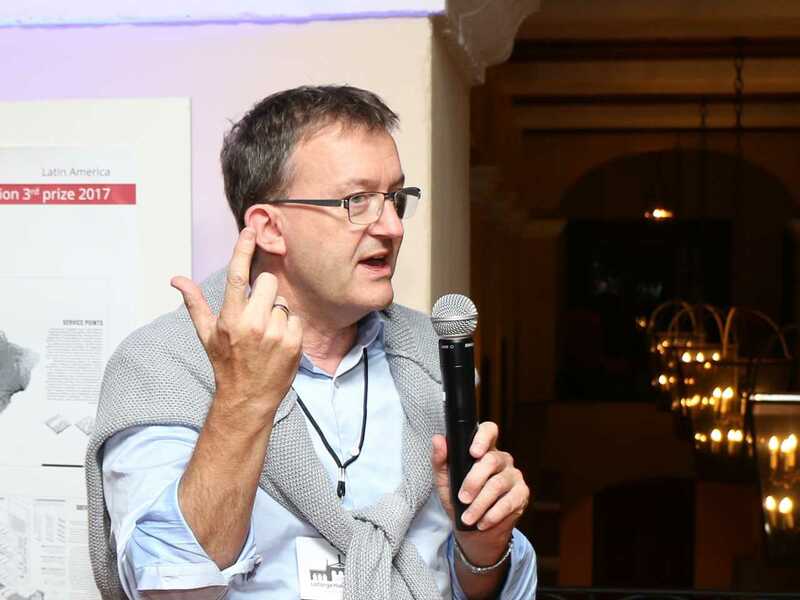 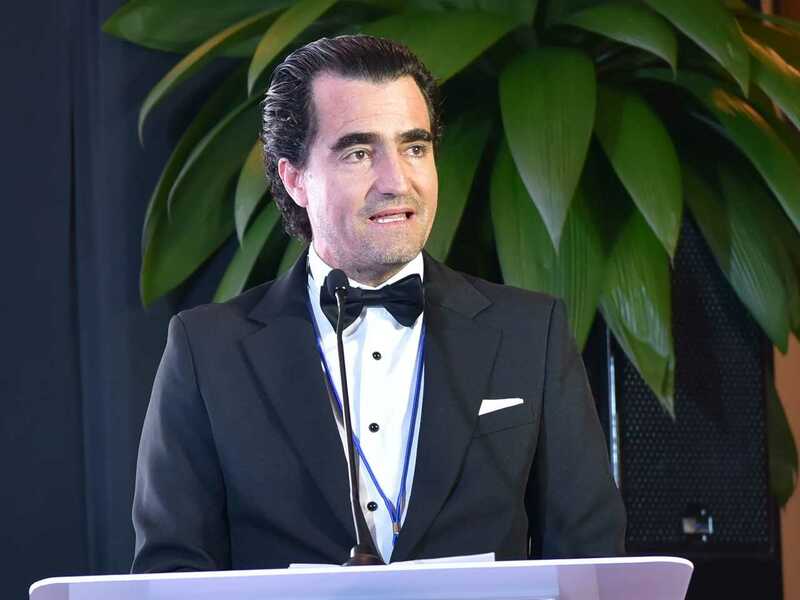 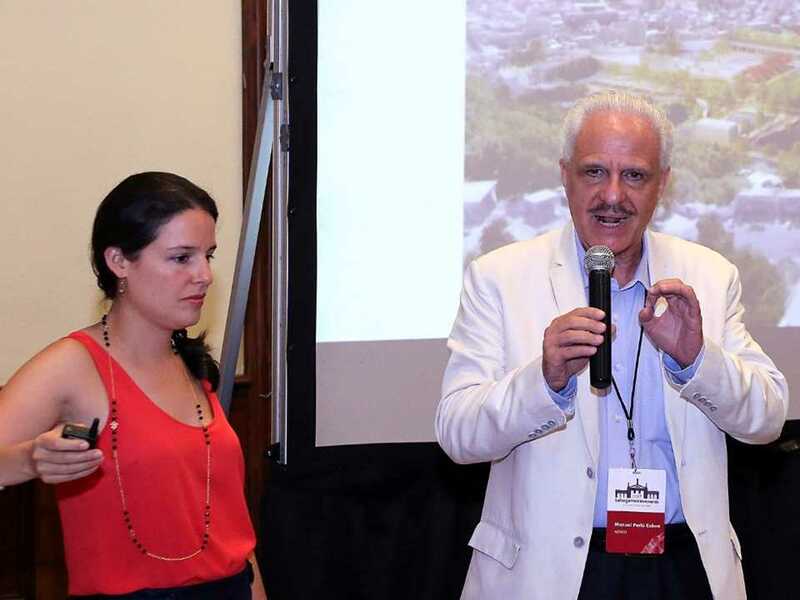 Pietro Stagno, member of the Awards Jury 2017 and Co-founder of the Institute for Tropical Architecture in San José, positioned the prize winning projects in a regional context and emphasized the importance of addressing water issues at the crux of improving the lives of communities. 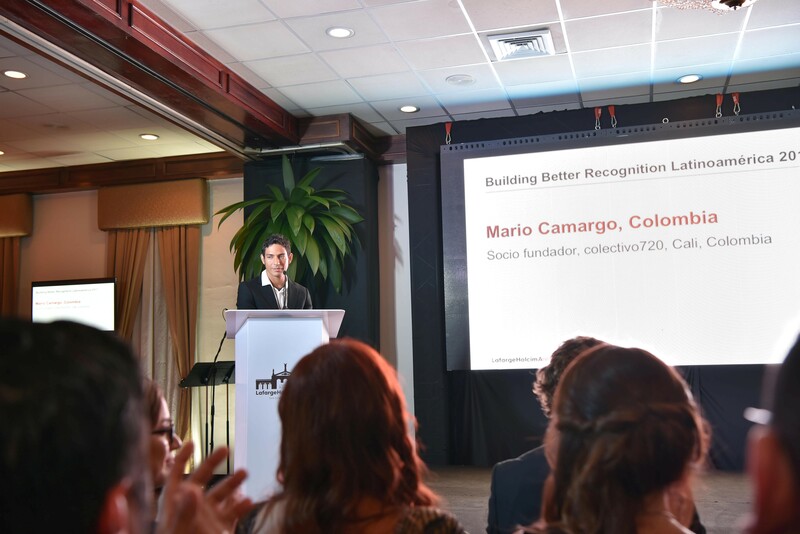 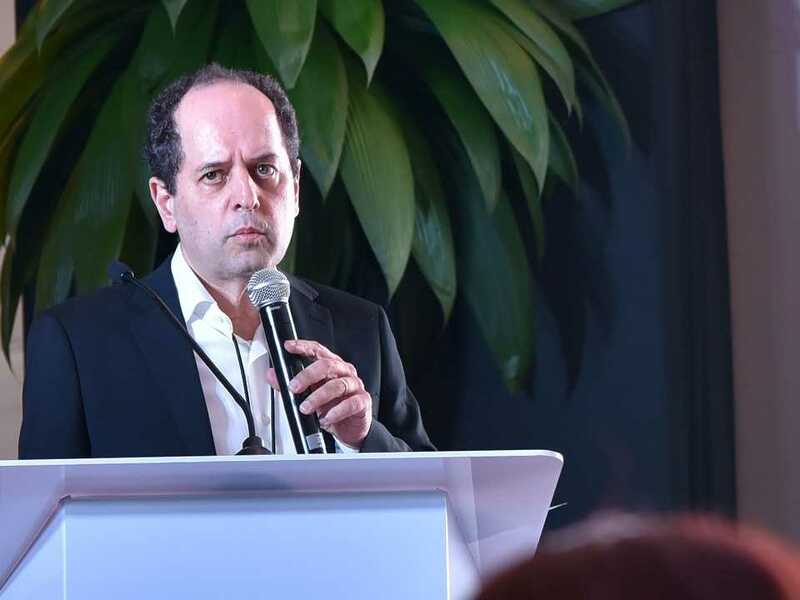 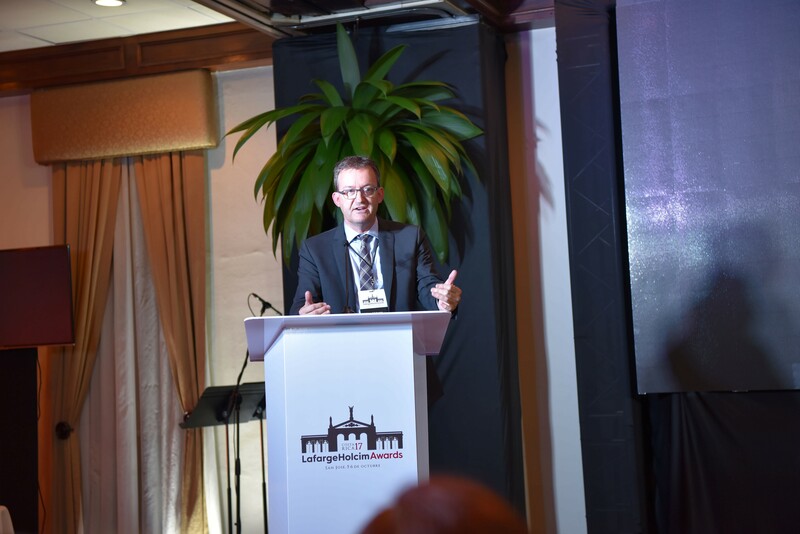 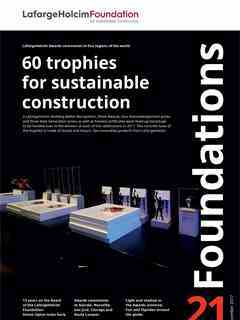 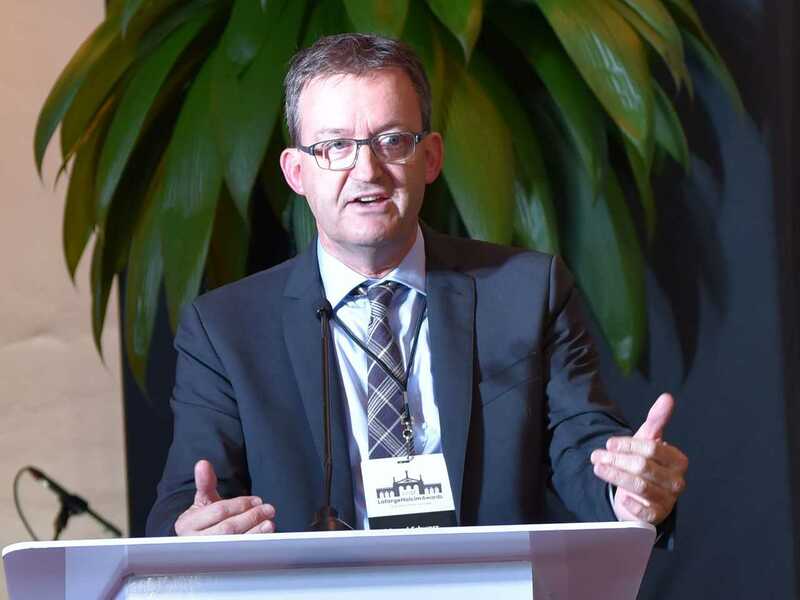 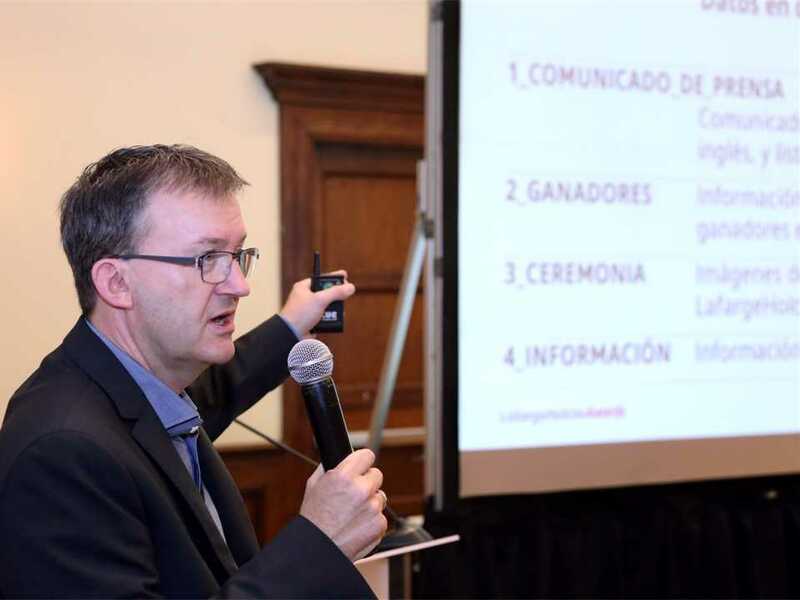 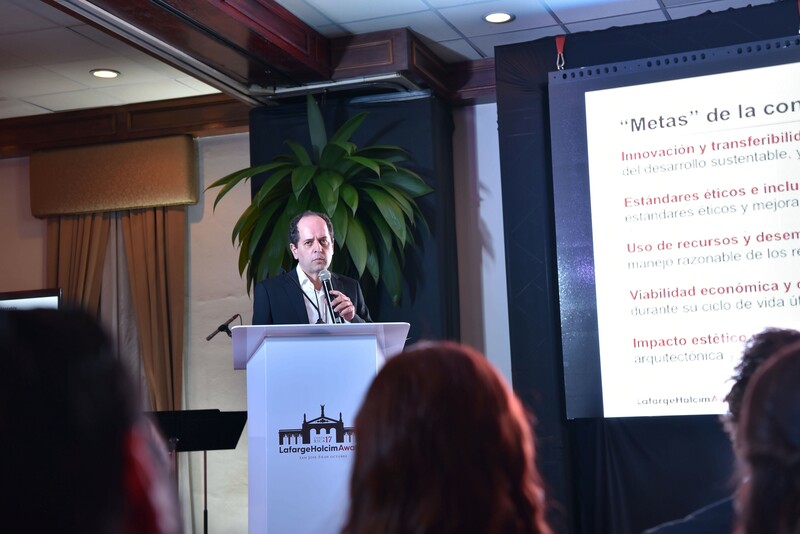 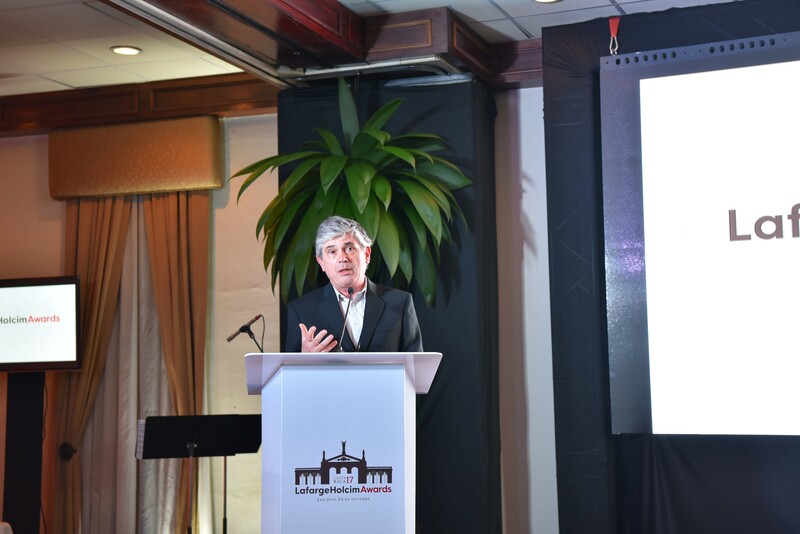 Edward Schwarz, General Manager of the LafargeHolcim Foundation for Sustainable Construction, explained the objectives of the Awards competition to raise awareness and promote sustainability in the built environment. 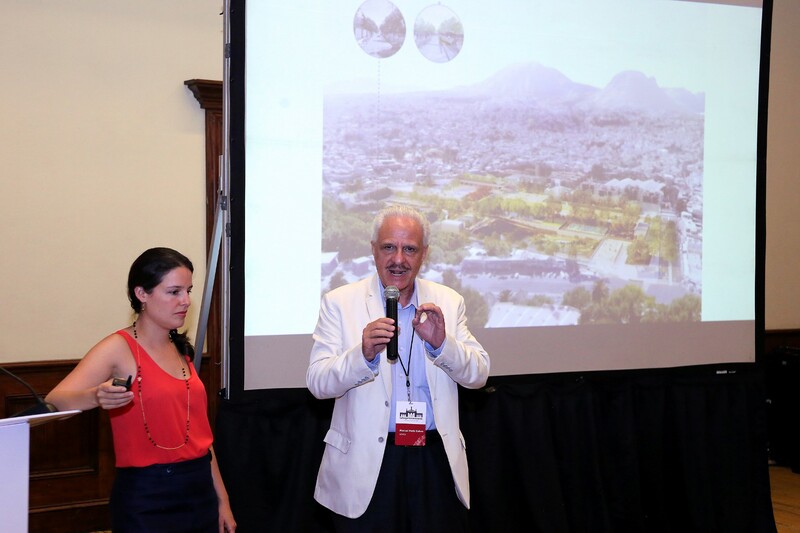 Loreta Castro and Manuel Perló (speaking) explained how their LafargeHolcim Awards 2017 Gold winning project in Mexico City brings together public amenities in combination with an integrated water retention and treatment complex. 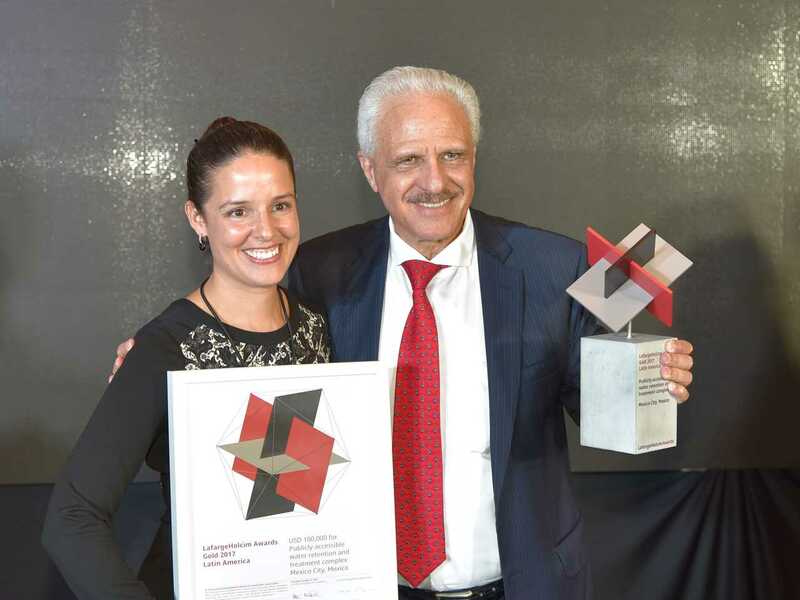 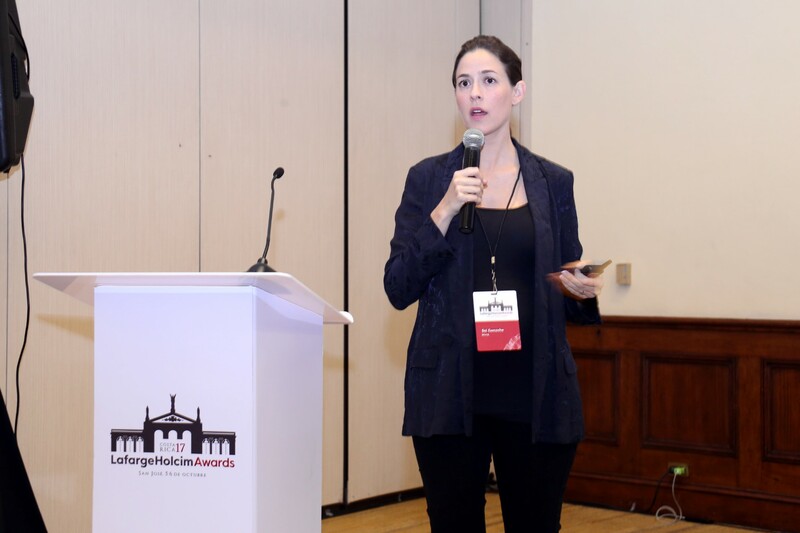 Sol Camacho presented the Silver Award winning mixed-use civic hub in the largest favela of São Paulo, which brings sustainable architecture and sustainable financing together. 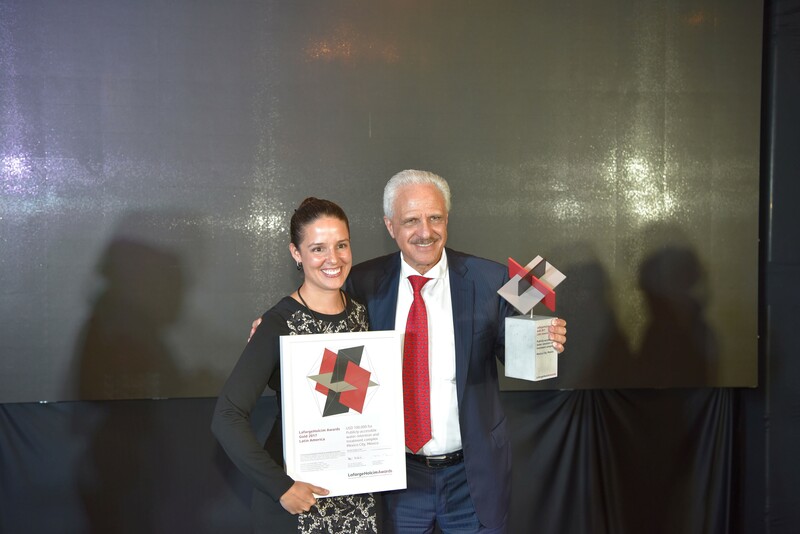 Eva Pfannes showed how, with the Bronze Award winner, wastewater will no longer pollute natural waterways, but will be treated using constructed wetlands as an effective and proven treatment to clean wastewater. 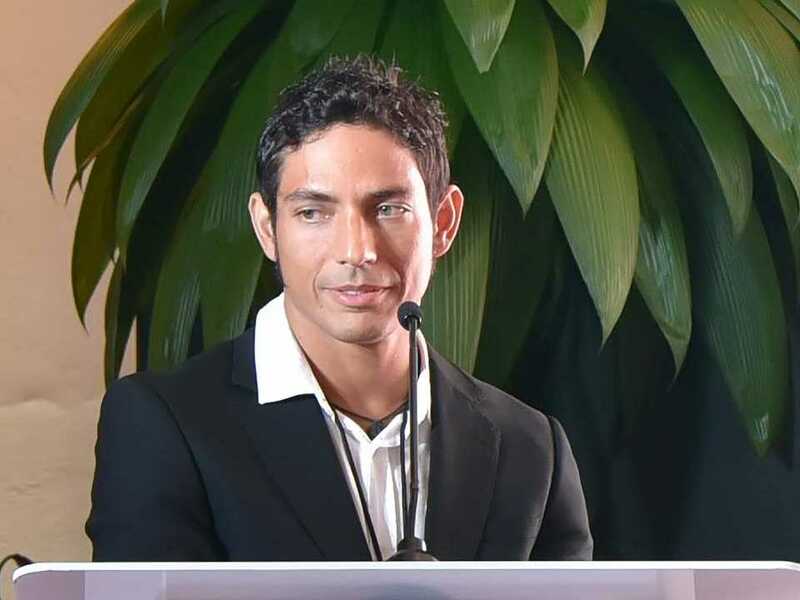 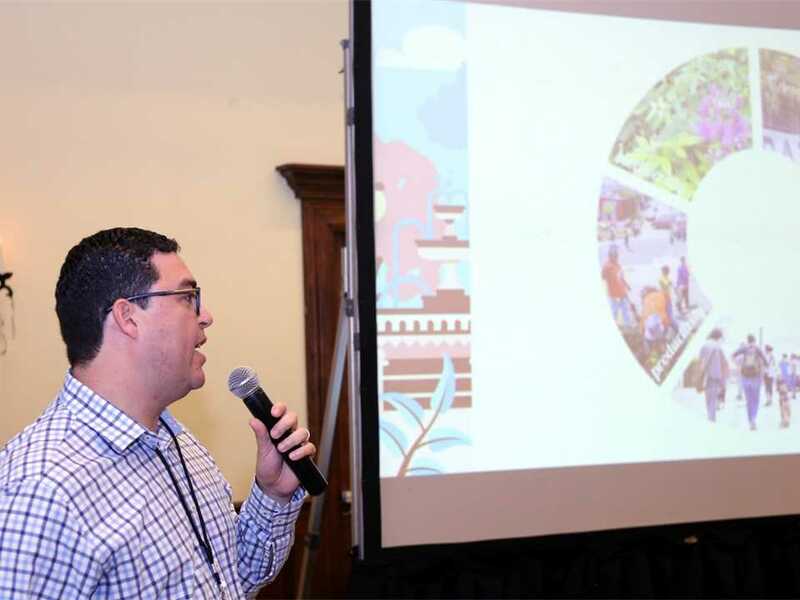 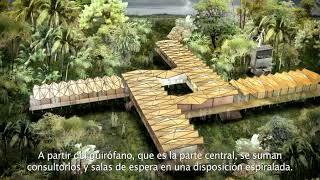 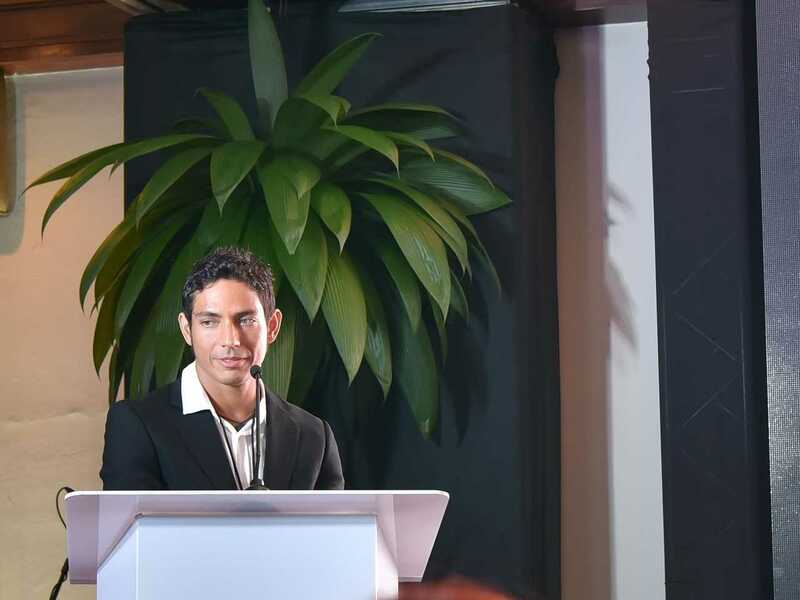 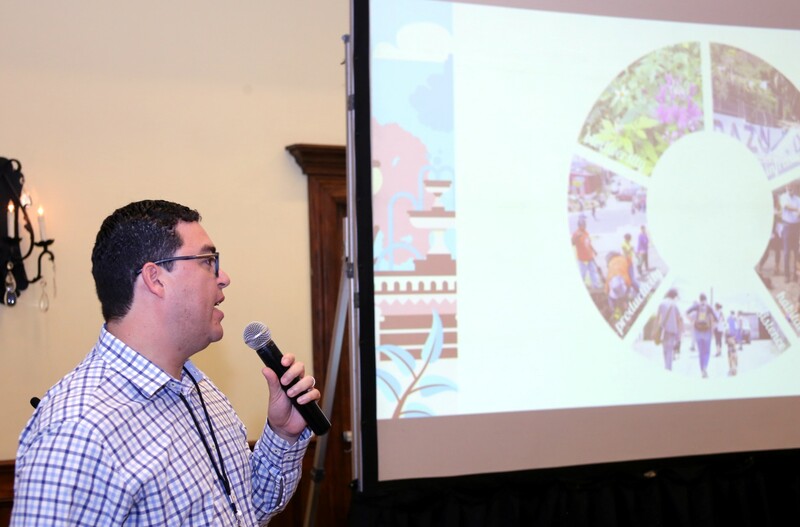 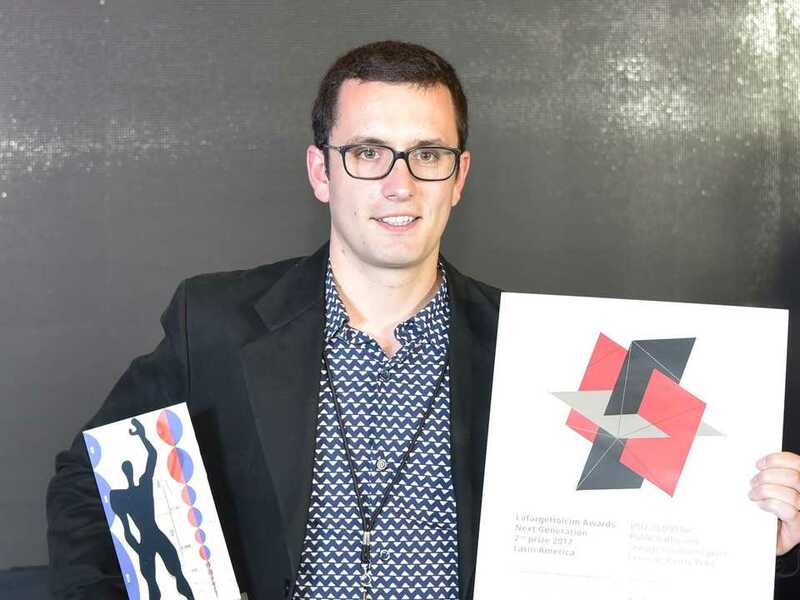 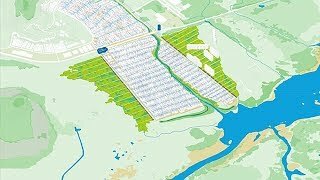 Erick Calderón, co-author of the LafargeHolcim Awards Acknowledgement prize winning project from Curridabat, Costa Rica the plan for an eastern suburb of San José envisions the city in coexistence with its flora and fauna. 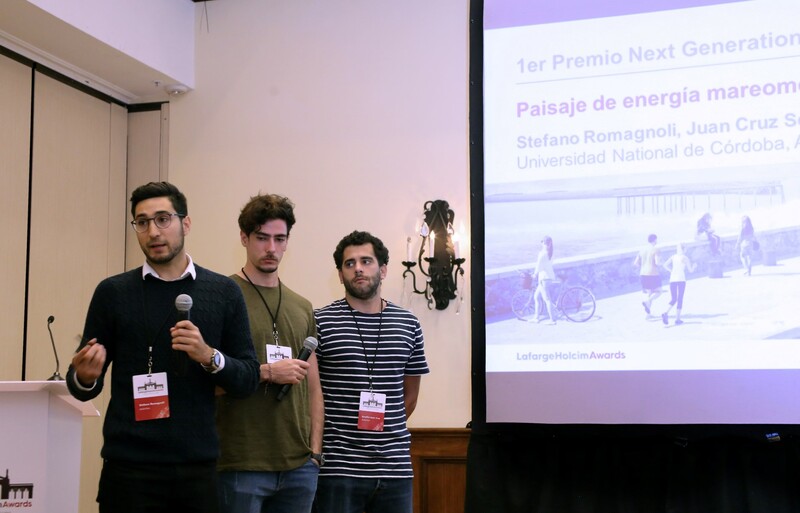 Three students of the National University of Cordoba in Argentina (l-r): Stefano Romagnoli, Tomás Pont Apóstolo and Juan Cruz Serafini introduced their idea of creating a tidal energy landscape to generate electric energy and a large-scale recreational area on the Argentinian coast at Punta Loyola. 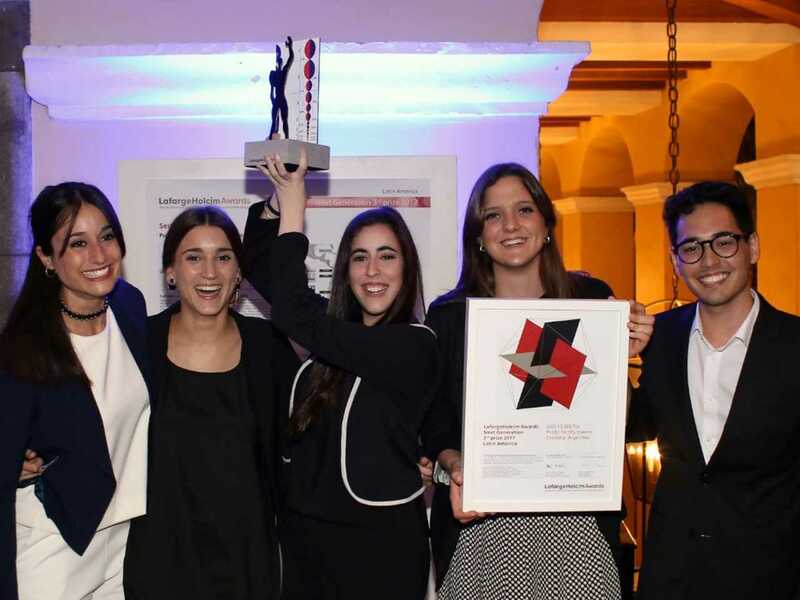 Edward Schwarz, General Manager of the LafargeHolcim Foundation congratulates the Next Generation 3rd prize winners (l-r): Mariela Marchisio, Dean of Architecture, Universidad Nacional de Córdoba; María Augustina Nieto, Lucía Uribe Echevarria, María Belén Pizarro, Ángela Ferrero and Seizen Uehara. 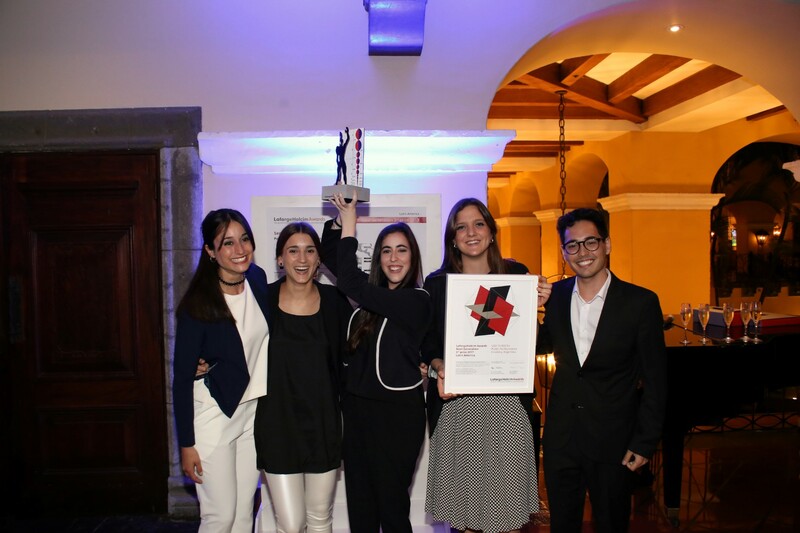 Celebrating the Next Generation prize winning teams from Universidad Nacional de Córdoba (l-r): Tomás Pont Apóstolo and Stefano Romagnoli (1st prize); Mariela Marchisio, Dean of Architecture, Universidad Nacional de Córdoba; María Augustina Nieto, Lucía Uribe Echevarria, María Belén Pizarro, Ángela Ferrero and Seizen Uehara (3rd prize); Awards Coordinator from Holcim Argentina Laura Marina Gomez; event guest Javier Giorgis; and Juan Cruz Serafini (1st prize). 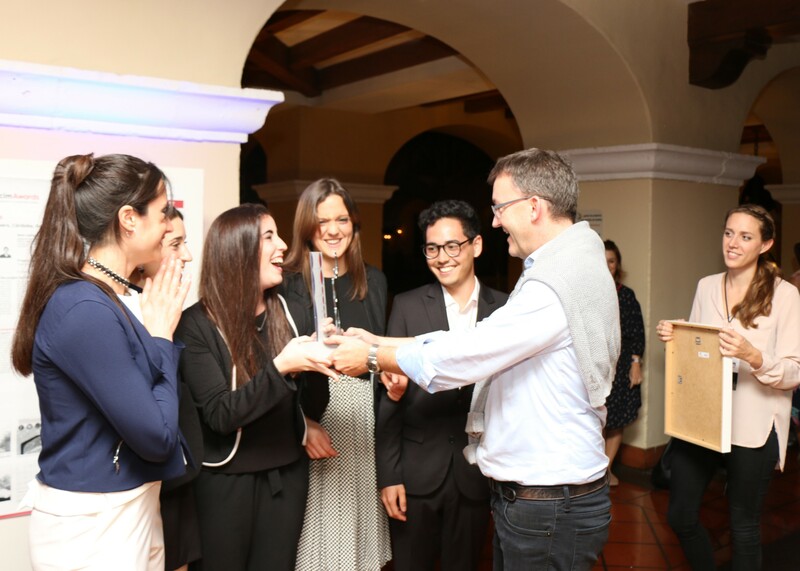 Edward Schwarz, General Manager of the LafargeHolcim Foundation introduces the winning team of the Next Generation 3rd prize. 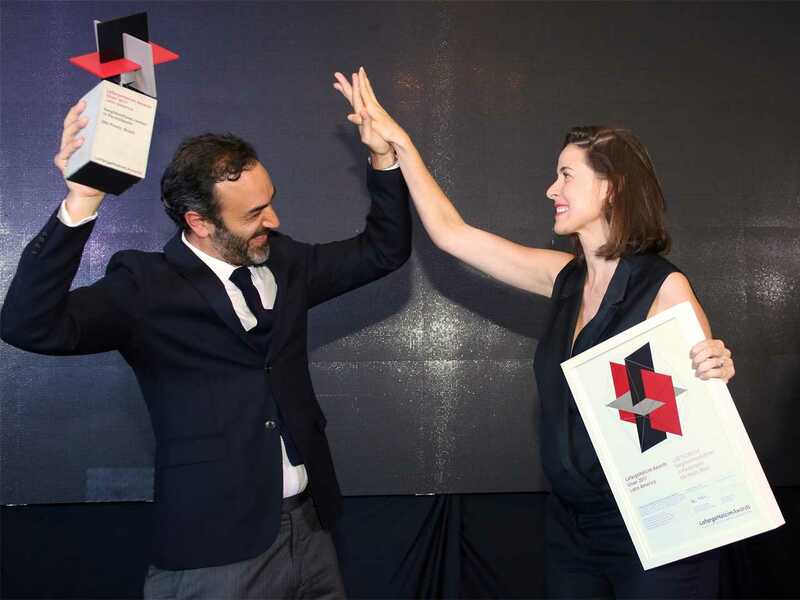 Their “Public facility towers” project’s twofold objective is to provide an array of services for low-income populations as well as to increase social interaction among citizens. 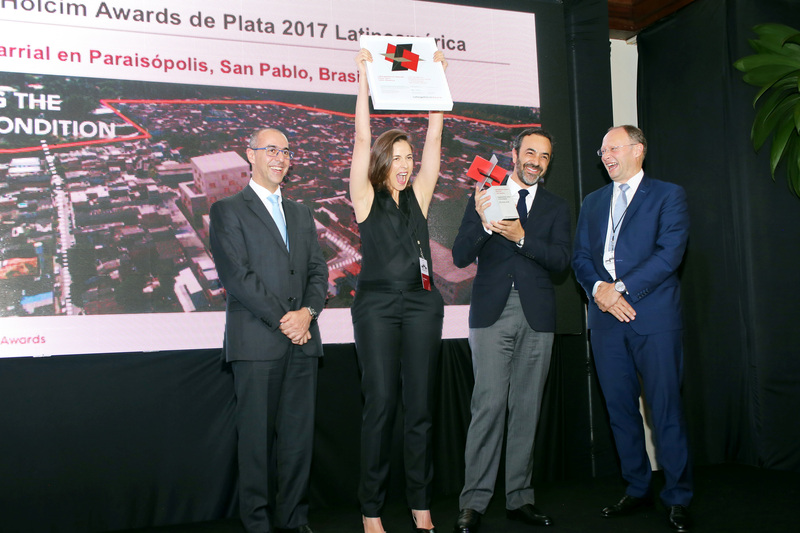 The winners of the LafargeHolcim Awards 2017 winners for Latin America have been announced in San José, Costa Rica. 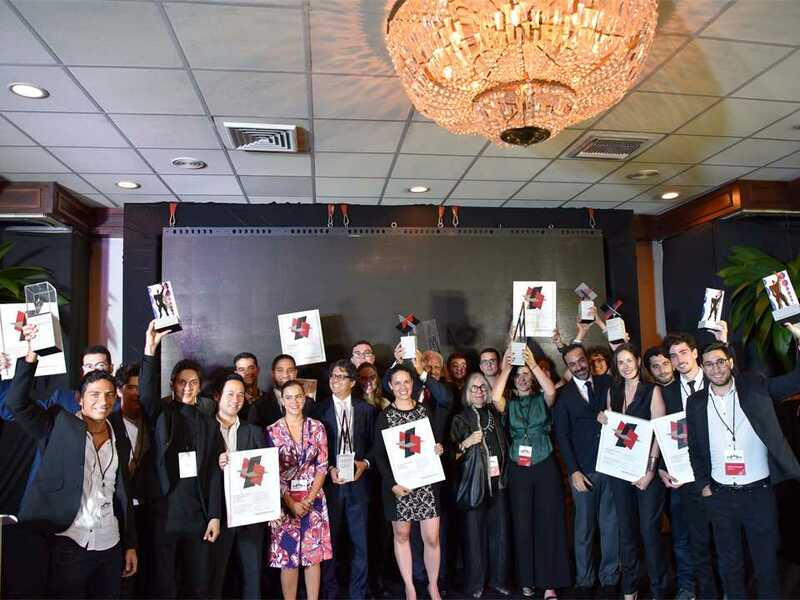 Whether for wastewater, drinking water, or tidal water, many of the prize winners have innovative and often surprising proposals for ways to master the use of this precious resource in Latin America. 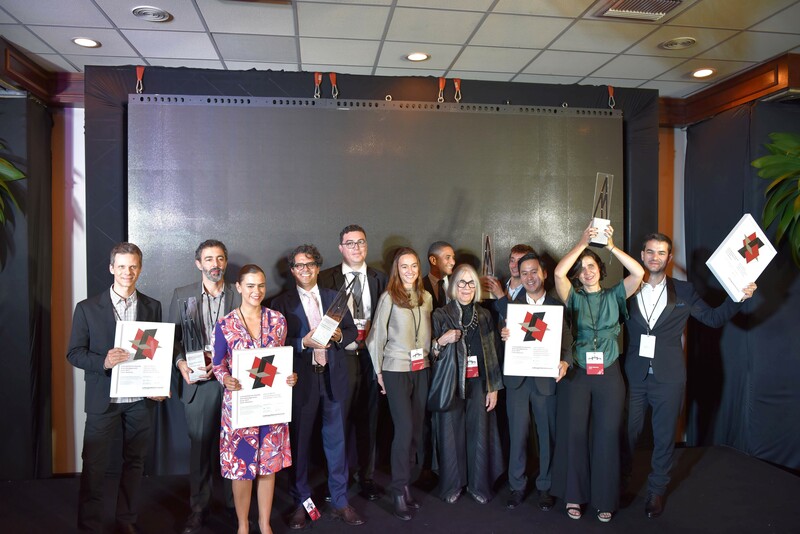 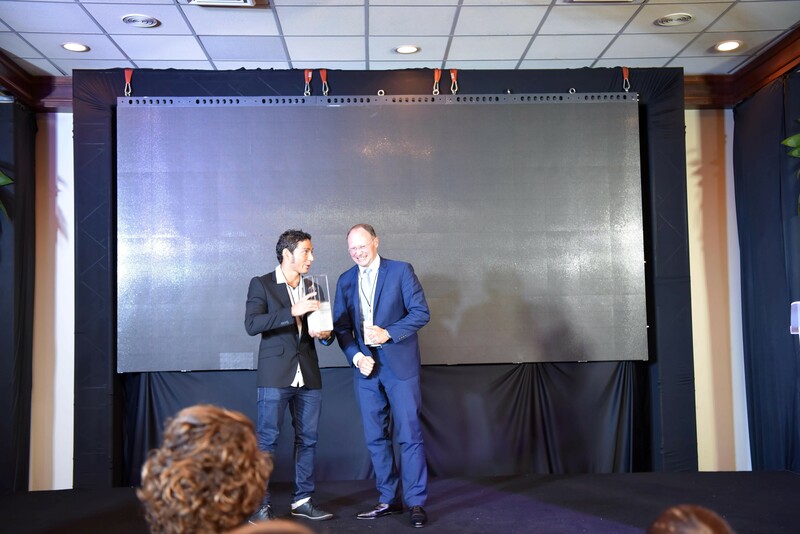 Celebration and presentation to prize-winners at the LafargeHolcim Awards 2017 Latin America. Media briefing on the day following the LafargeHolcim Awards Latin America 2017 announcement of winners in San José, Costa Rica. 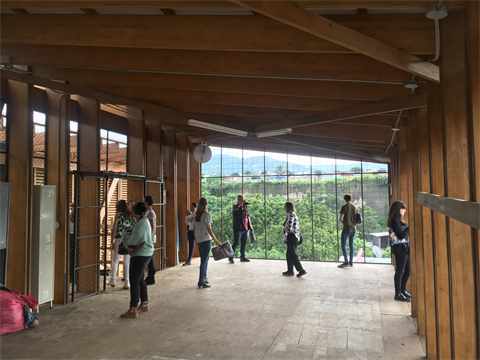 Guests at the LafargeHolcim Awards prize handover participated in a full-day tour of San José that placed sustainable construction in its local context and included notable sites of interest in the Costa Rican capital.